It’s been twenty years since we first met Qui-Gon Jinn and his apprentice Obi-Wan Kenobi in Star Wars: The Phantom Menace, but there’s still more to be explored in the story of Jedi and Padawan. To celebrate the arrival of Star Wars: Master & Apprentice, the new novel out now, StarWars.com recently sat down with bestselling author Claudia Gray to get a glimpse at what this novel has in store for readers, from the Padawan problems of their early relationship to a deeper look at the treasured lore at the heart of the Star Wars saga. Note: This interview does not contain detailed spoilers regarding the plot of Master & Apprentice, but it does shed light on its characters. Tread carefully! 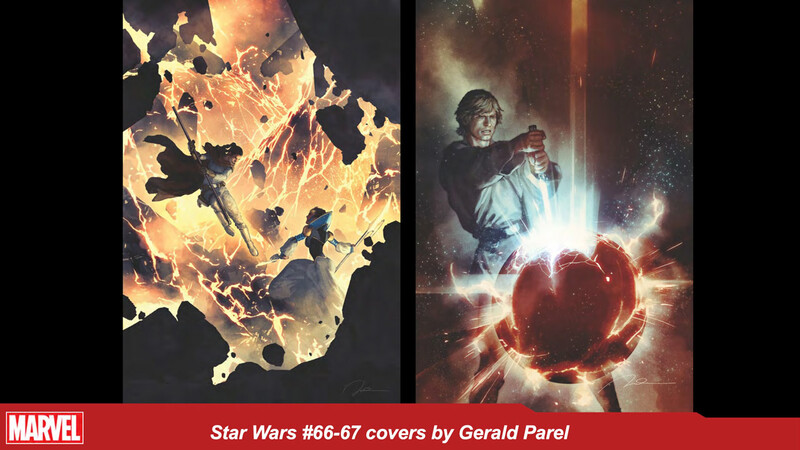 StarWars.com: To begin, I’ll ask about your short story – also entitled Master & Apprentice – for the anthology Star Wars: From a Certain Point of View. When you wrote that piece, did you anticipate an entire novel about Qui-Gon Jinn and Obi-Wan Kenobi? Claudia Gray: When From a Certain Point of View came up they asked who I’d like to write about in A New Hope. I told them Qui-Gon! Though he wasn’t in the film, of course, I said I could show them how it might work. Though I didn’t anticipate writing a novel at that time, I had been saying to Lucasfilm Publishing that I would love to write about Qui-Gon in case there was ever a chance. I did not expect this book-length story to come along so quickly. StarWars.com: Up until this point you had written stories in the original and sequel trilogy eras. Princess Leia was a central character in a number of your stories. Now you were moving into the prequel era with Qui-Gon. Is he a close second to Leia as your favorite character? Claudia Gray: Well it’s all very hotly contested! Qui-Gon is certainly one of my favorites. We get so little of him in the films. It seemed there was so much more to tell with this idea of a Jedi who was not in lockstep with the Jedi Council. 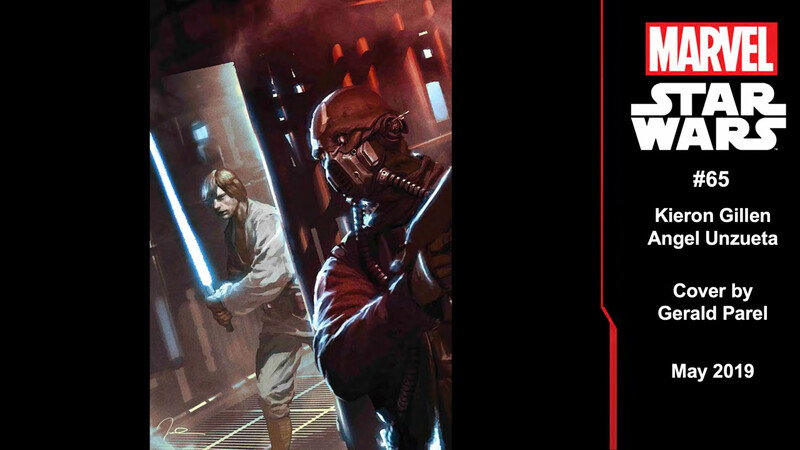 As the events of the prequel trilogy go on, we realize that the Jedi have sort of lost their way. Where does that leave Qui-Gon? It was a fascinating viewpoint to try and portray, if we could do it. StarWars.com: Readers spend a lot of time with Qui-Gon and Obi-Wan together. What was it like exploring the ups and downs of their relationship? Claudia Gray: It was one of the things I wanted to get into the most. It’s interesting to see Obi-Wan when he doesn’t have it all together yet. In the films he is much surer of himself. But what does that look like when you’re 17? He and Qui-Gon have different ways of doing things. It’s not a natural fit, and they have to work on it. Yoda reminds Qui-Gon that if he wasn’t having trouble with his Padawan then something would be wrong. Taking an adolescent through these big life changes is a little rocky. But that rocky patch has gone on a bit too long with Qui-Gon and Obi-Wan and their relationship is in peril. 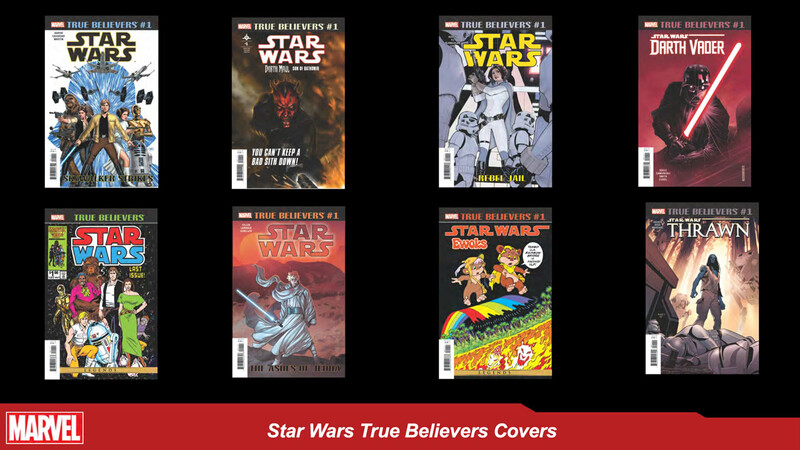 StarWars.com: How did your understanding of these characters evolve throughout your writing process? Claudia Gray: Young Obi-Wan does things by the book. Some people interpret that as a lack of courage or originality. But of course that isn’t the Obi-Wan Kenobi we all know. So what beliefs drive him in that way when he’s young? He follows the rules because he’s convinced they’re the right thing and represent real wisdom. They’re valuable teachings that are both procedural and spiritual. 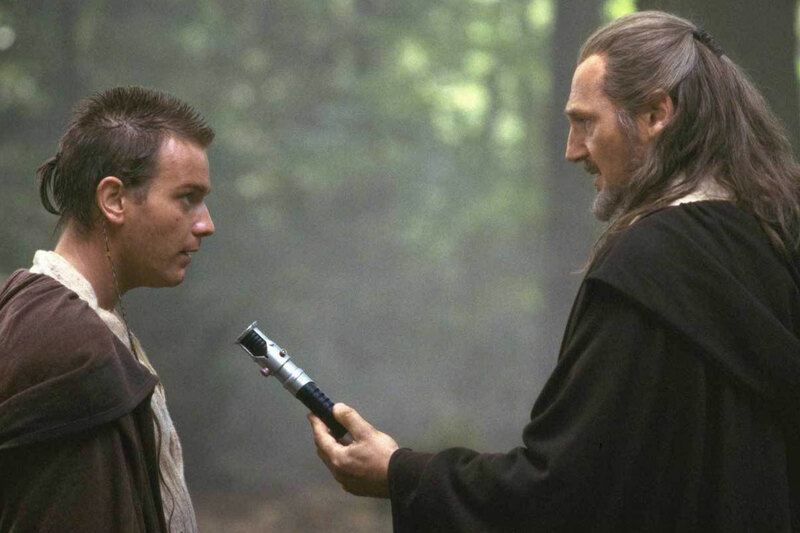 With Qui-Gon, I became interested in his self-doubt about whether he was failing Obi-Wan. It’s his role to teach him. Qui-Gon is someone who takes that responsibility and wouldn’t blame the student. He’d look for the answer in himself first. StarWars.com: This reminds me of the moment in The Phantom Menace when Obi-Wan apologizes for his forwardness, to which Qui-Gon responds that his Padawan is a “much wiser man” than himself. Claudia Gray: This book was an opportunity to layer in more depth around those brief moments we see in The Phantom Menace. 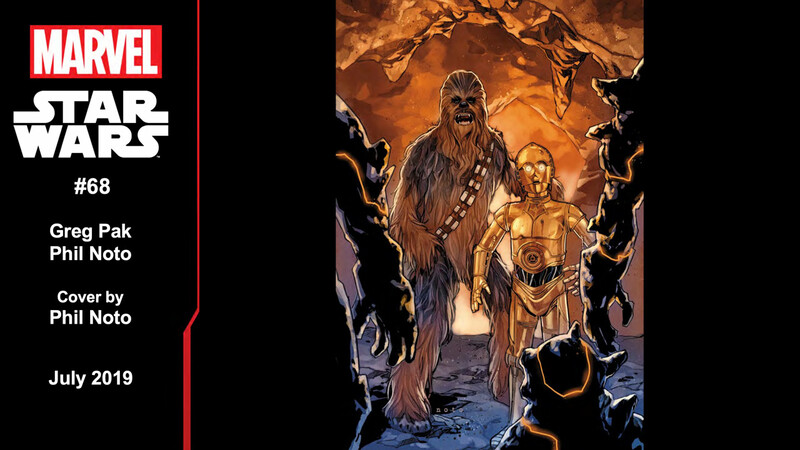 StarWars.com: The issues of slavery in the galaxy have a major role in the story. How did this topic come to be included? Claudia Gray: In The Phantom Menace, Qui-Gon is both very compassionate and at the same time can tell Shmi Skywalker, “I didn’t actually come here to free slaves.” The Jedi have a mandate to follow. They work within parameters. With the kind of power they have, to rule directly is too dangerous. So we wanted to see Qui-Gon dealing with his feelings about slavery. He questions why the Republic hasn’t done much about policing it. It’s a question that I myself ask, too. At this point the Republic is past its prime, and from The Phantom Menace on those cracks will start to show. 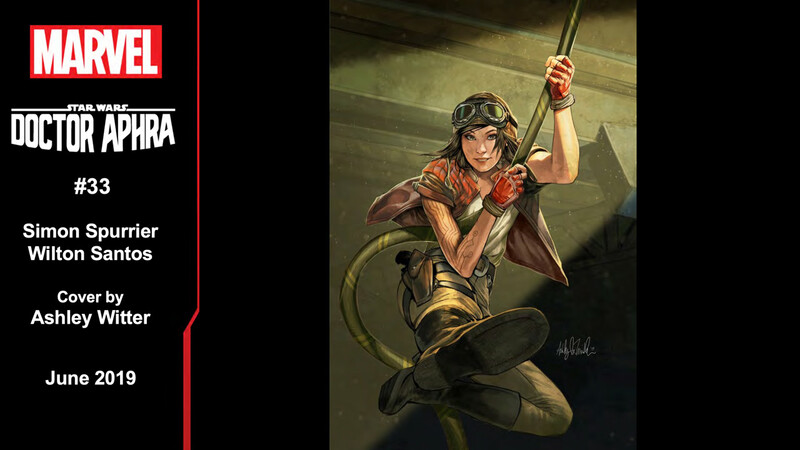 StarWars.com: Of course, we also have Rahara Wick and Pax Maripher, two characters that have a fresh dynamic in the form of an escaped slave and a person raised by protocol droids. Where did that inspiration come from? Claudia Gray: The germ of it probably came from the TV show Elementary. You have Sherlock Holmes, and a female, more no-nonsense Watson character. It started there, but then Rahara and Pax came into their own forms. I needed one to have slavery in their background to show what the impact of those practices could be. Rahara’s personality grew out of that. Pax was a know-it-all, but then I wondered why he was like this? 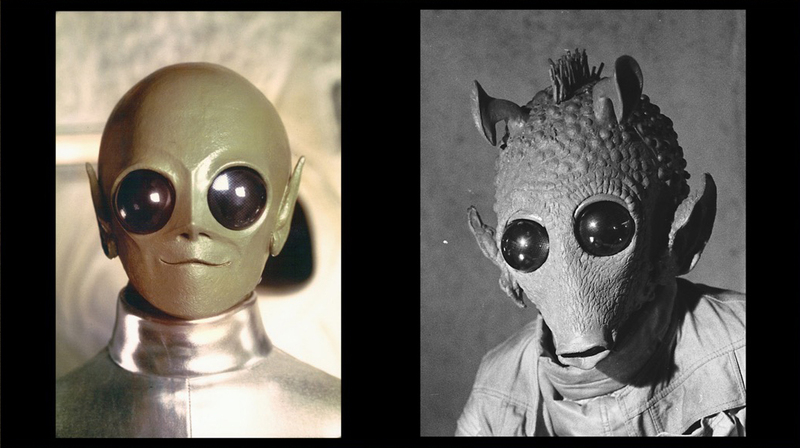 As he grew up, his only patterns of behavior were set by characters that behaved like C-3PO! 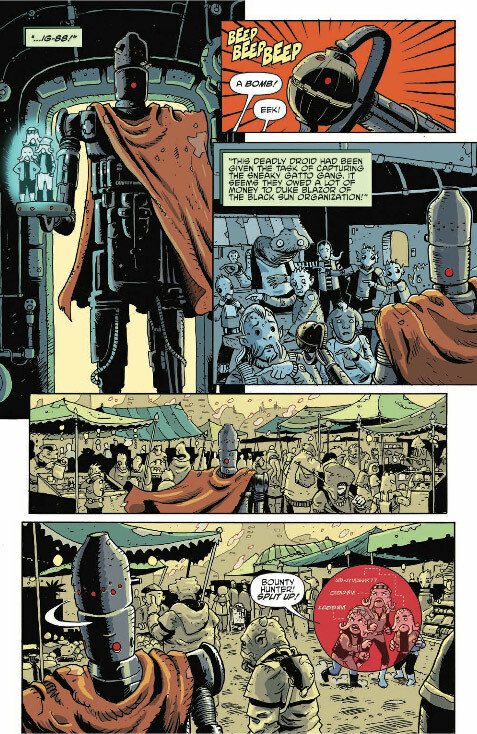 I had so much fun writing Pax and I hope the readers enjoy him. 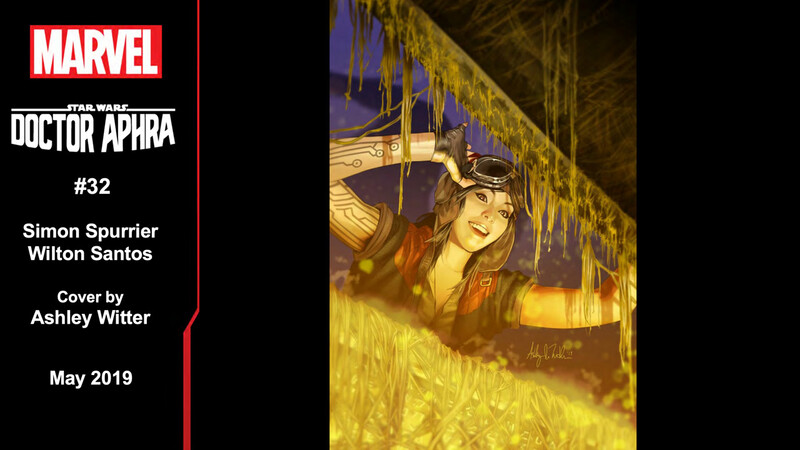 I also love the idea of having them be jewel “thieves” (they’re not quite thieves) in space. You should just have glamorous jewel thieves in everything. 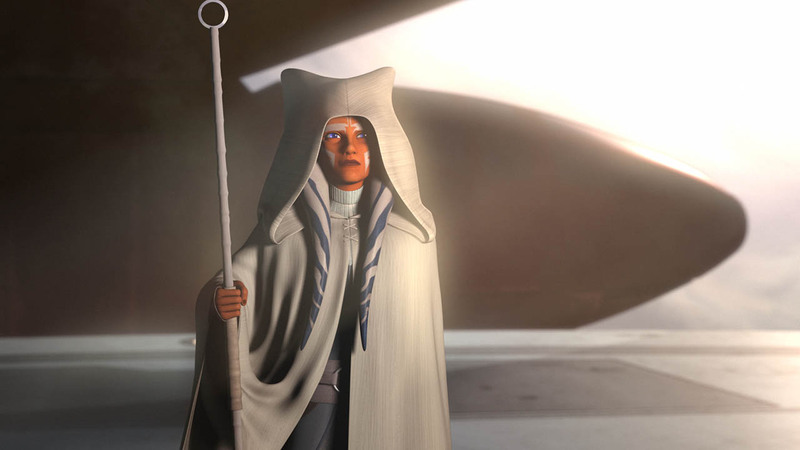 StarWars.com: Rael Averross is a new example of an independent-minded Jedi. We’ve seen other examples of this from Count Dooku to Anakin Skywalker and of course Qui-Gon. What makes Rael stand out? Claudia Gray: Rael was Dooku’s apprentice before Qui-Gon. He became a Jedi Knight not long before Dooku took on Qui-Gon as a new Padawan, so Rael became a friend and informal mentor to the young man. 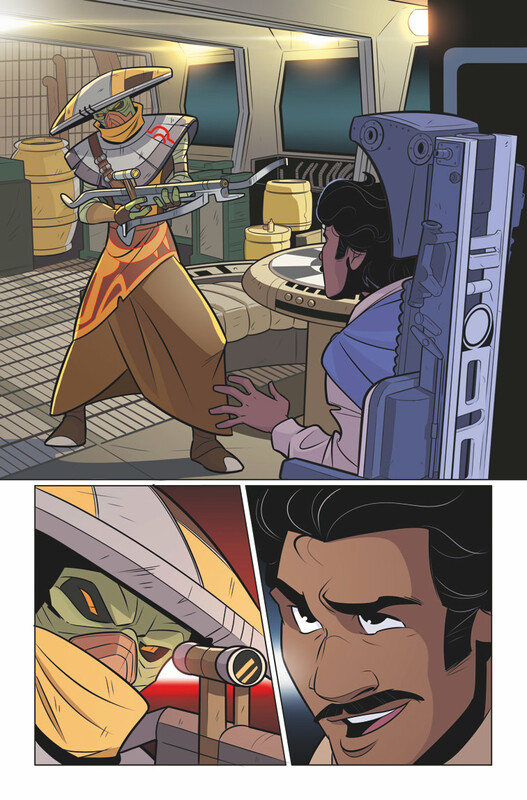 Rael is also a character that hints at some of the issues that Anakin will have later. He was 5 years old when he joined the Order, considered too old by some. 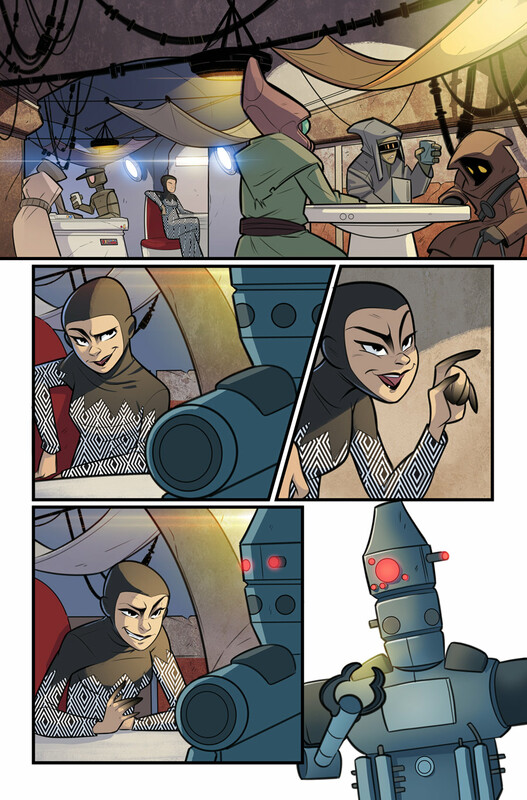 Rael can’t fully acclimate to the life of a Jedi like those who don’t have any memories before the Order. So he doesn’t try to fit in. He defines himself more and more by what he isn’t. That defiance can work constructively, but it does skirt him towards the dark side. He has an oppositional mindset. Of course, Dooku cultivates that to the max. StarWars.com: It’s the 20th anniversary of The Phantom Menace this year. 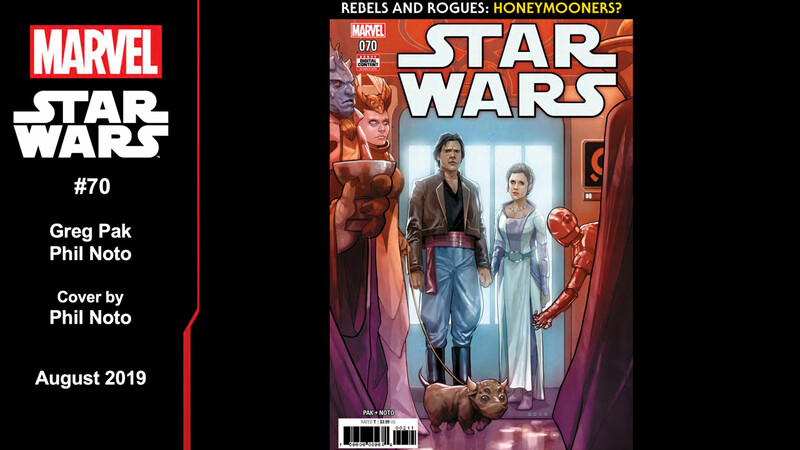 This book is among other new stories that point to the prequel trilogy era. How does it feel to contribute to this era? Claudia Gray: If readers are able to see more layers in The Phantom Menace, more depth in the characters and their interactions, then I’ve done my job. I just want to add things, but at the same time make the additions feel like they could’ve always been there. Hopefully it feels like a natural part of Qui-Gon’s journey. 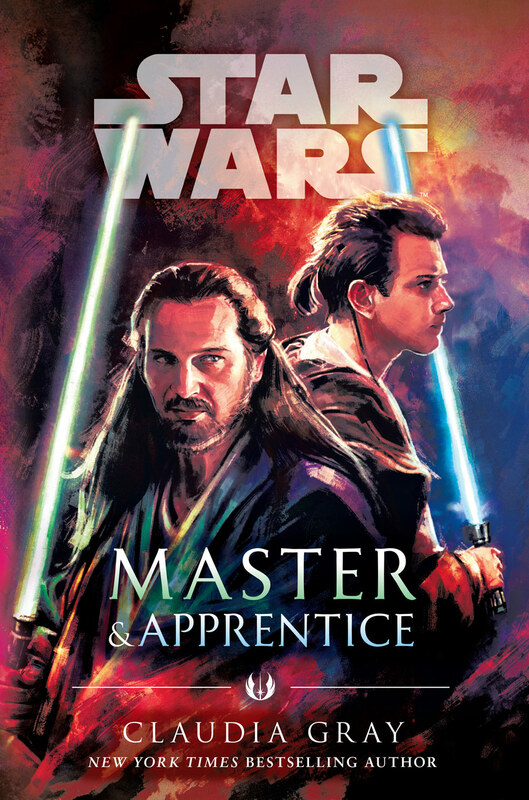 You can order your copy of Star Wars: Master & Apprentice now. 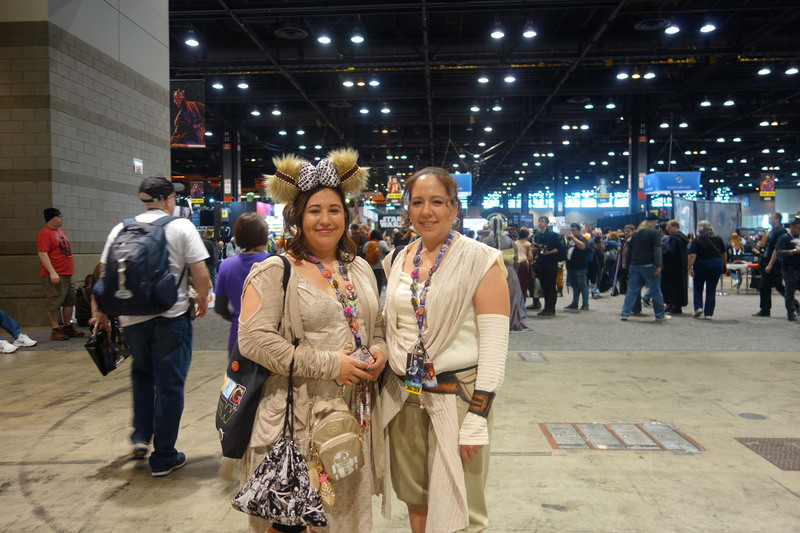 Fans came to Star Wars Celebration Chicago from all over the world. Some live just a couple of hours away in a town in Illinois, some made the trek from the east and west coasts of the United States, and some even settled in for hours on a plane from places as far away as England, Spain, and Japan. The one thing that surrounds them and binds them all together? Their love of the galaxy far, far away. Steve Jackson didn’t have to go far to reach the bustling halls of the convention center from Chicago, being from the Windy City area himself. But it was his first ever Star Wars Celebration, he said. To mark the occasion, Jackson dressed as the striking Count Dooku, and the resemblance was uncanny. Also local to the area, the Kowalski family from Oswego, Illinois, weren’t there for their first Celebration — it was their sixth! 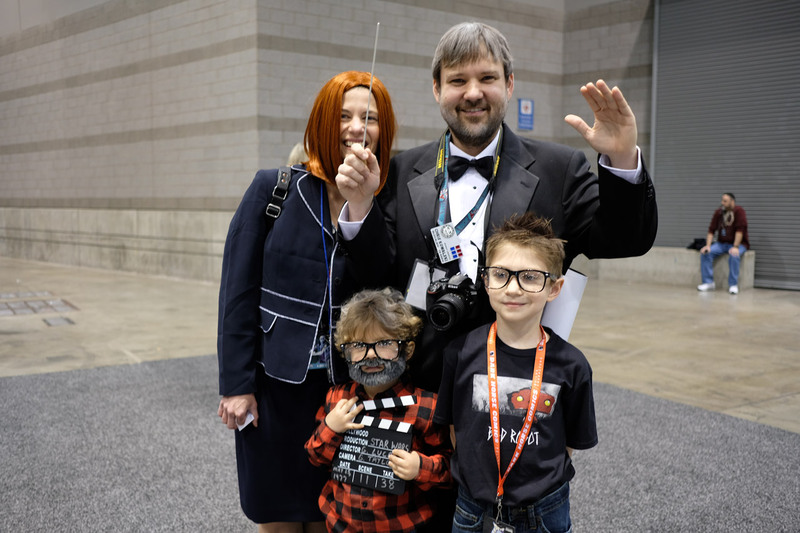 With mom Diana, dad Chris, five-year-old Ben, and nine-year-old “super fan” Jude, each dressed in creative costumes as Lucasfilm President Kathleen Kennedy, John Williams, George Lucas, and J.J. Abrams, respectively, it’s plain to see that every member of the family is a Star Wars fan. Illinois residents Maricruz Rojas and Rose Tintera also didn’t have to go far for Celebration, but that doesn’t mean they were any less excited. Delightfully decked out in fuzzy Wookiee Mickey ears, Rey-inspired ensembles, and glittery Star Wars accessories and buttons galore, it’s no surprise that the two were smitten with the costumed attendees at the show. 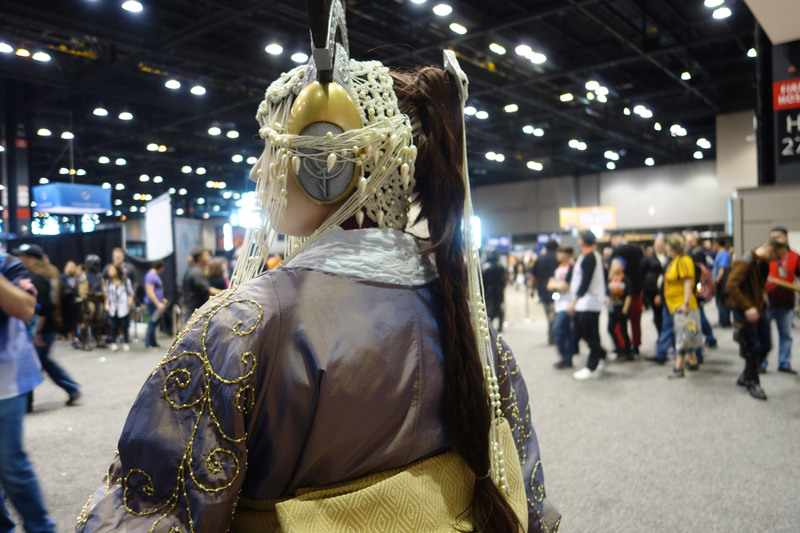 “Everyone dressed up in cosplay is just so amazing, and everyone is so creative. There’s swag, props, everything!” said Rojas. “[It’s] our first time here. We didn’t expect all of this, but it’s amazing,” agreed Tintera. 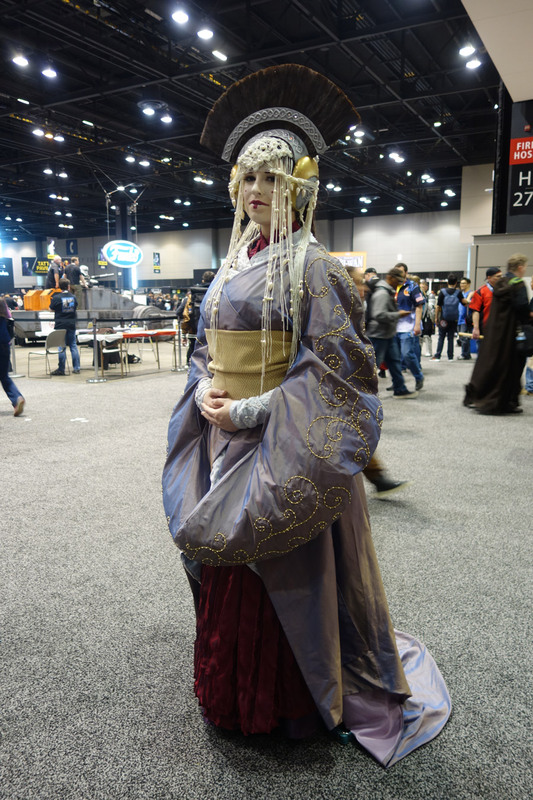 The queen of dressing up at Star Wars Celebration just might have been Queen Amidala herself, cosplayer Kelly Coffman, who donned an intricate, beaded gray gown. Coffman, also known as Eveille Cosplay, painstakingly sewed and assembled one of Padmé’s most regal and iconic looks from Star Wars: The Phantom Menace. The Pennsylvania-based cosplayer drew an adoring crowd befitting royalty everywhere she went on the show floor. For George Kostal in particular this Star Wars Celebration was unforgettable. 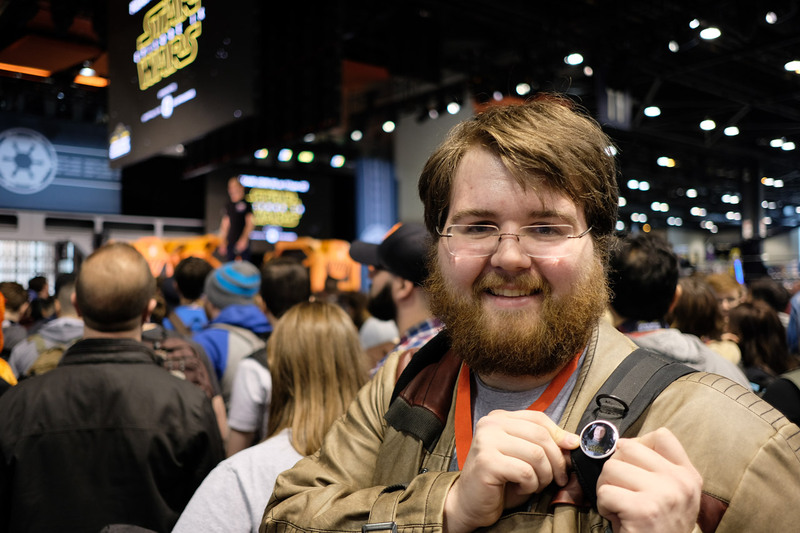 The Connecticut-based fan, who was attending his second Celebration, runs a Twitter account dedicated to General Veers of The Empire Strikes Back called Veers Watch. 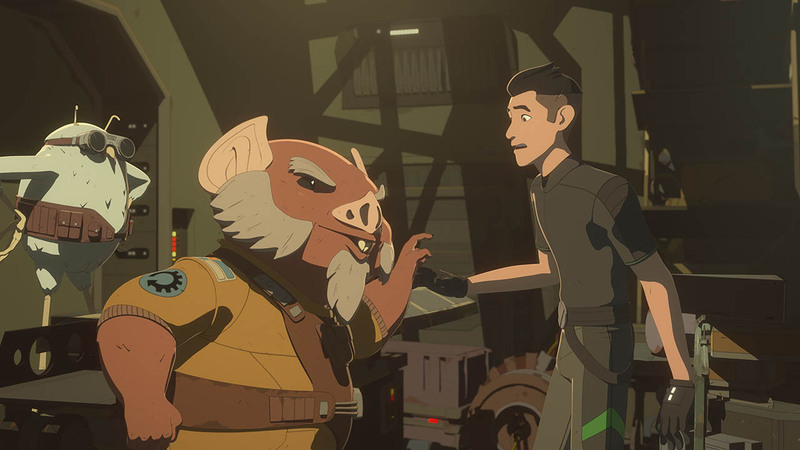 Kostal decided to take a chance on meeting Andi Gutierrez, co-host of The Star Wars Show, after she interviewed actor Julian Glover on the live stage. “I had actually been hoping to meet her for most of the convention because she was an early follower of Veers Watch,” he said. 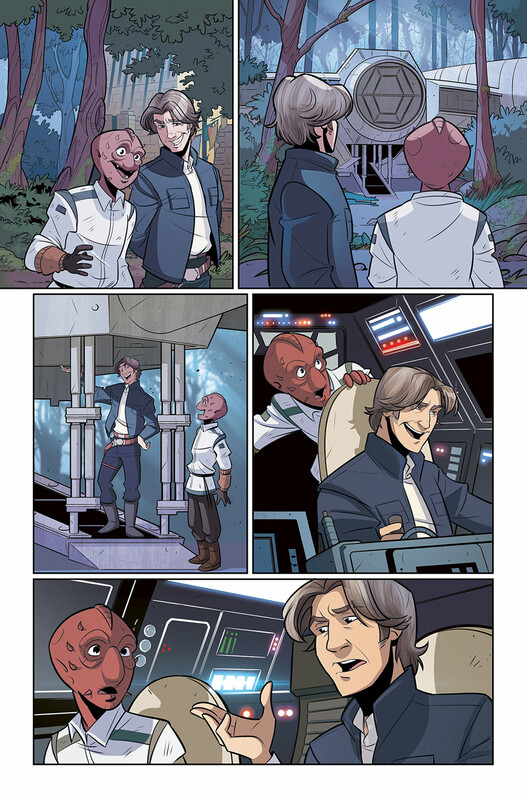 After returning to the stage when the show was winding down, Kostal luckily flagged down Lucasfilm producer Scott Bromley, who insisted on introducing him to Andi. From dazzling costumes, to memorable panels, to meaningful moments, to meeting Star Wars heroes, there really is something for everyone at Star Wars Celebration. Who knows what your favorite moment might be at Star Wars Celebration Anaheim in 2020? 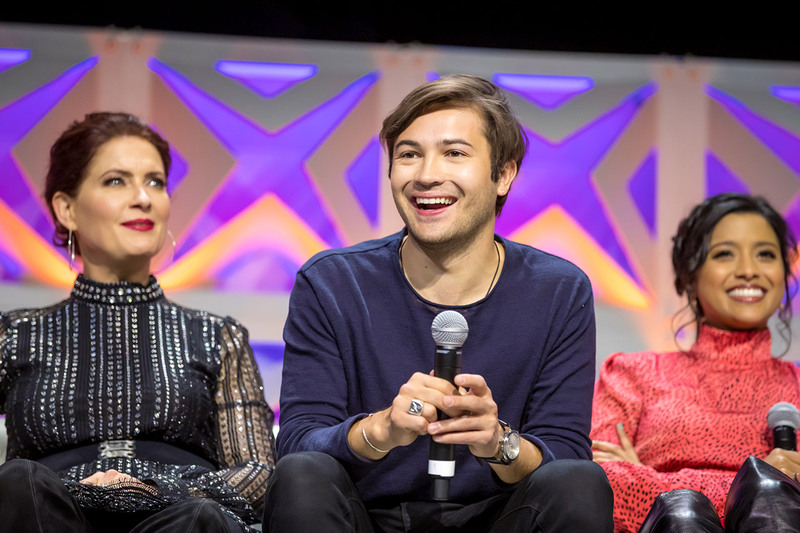 Visit StarWars.com’s Star Wars Celebration Chicago hub for panel recaps, interviews, and more. Determined to kill Jedi Master Mace Windu, young Boba Fett poses as a clone cadet and sneaks aboard a Jedi cruiser to plant a bomb in Windu’s quarters, but the plan goes awry. You almost feel bad for Boba Fett here. 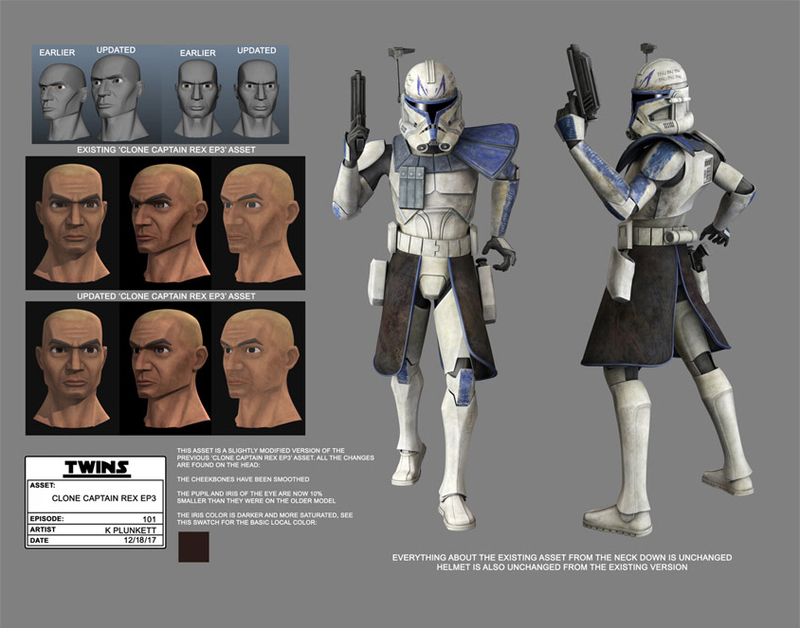 A clone but not a clone trooper, son of Jango Fett but not really a son in the traditional sense. 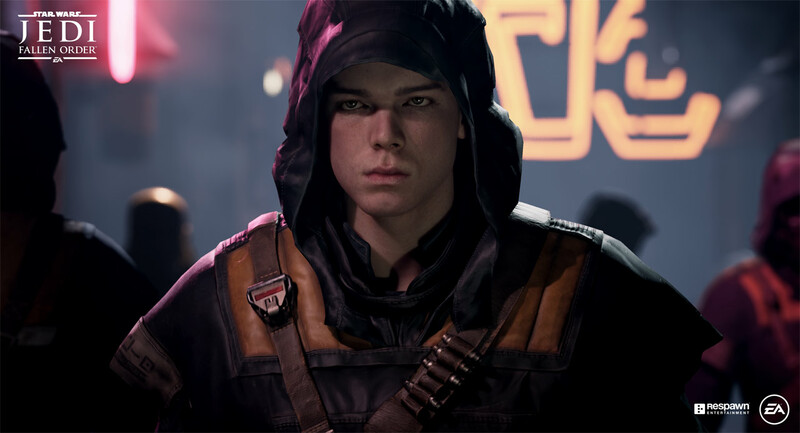 Orphaned and alone, he’s being raised up by the ruthless bounty hunter Aurra Sing to be little more than a killer without a conscience. 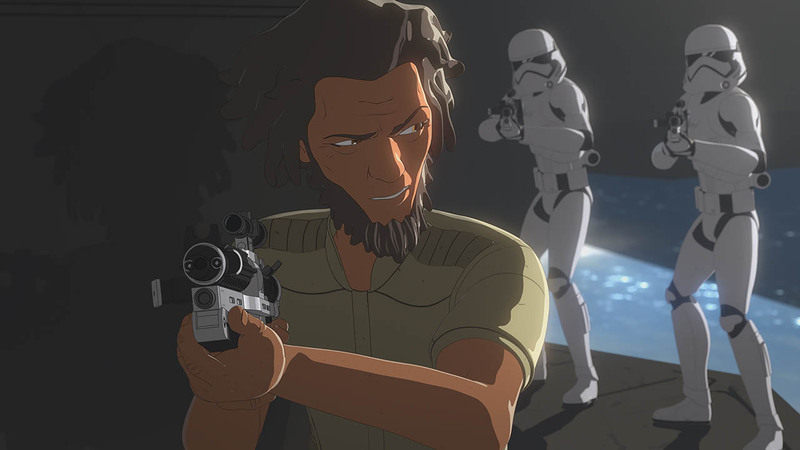 Posing as a common cadet to get his revenge on Mace Windu, the Jedi who murdered his father on Geonosis, as Lucky, he blends right in aboard the Jedi cruiser with the exception of his exceptional shooting skills. Lucky looks harmless enough to invite pity from the clone troopers who lead him directly to Windu’s quarters and effectively (although inadvertently) help to lay the trap that kills one of their own. 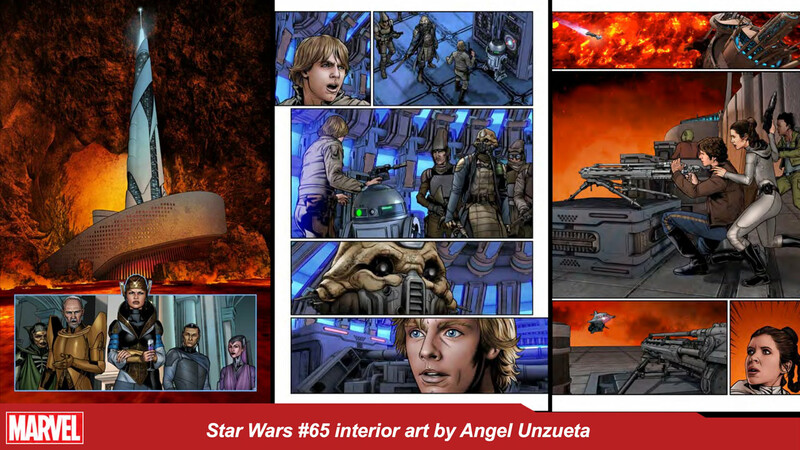 But his anger leads to hate, and his hate leads to suffering — for Windu, for the soldiers aboard the Endurance, for the cadets who he and Aurra Sing left for dead, and for himself. When the Endurance suffers a hull breach, one of the troopers caught in the blast lets out a “Wilhelm scream,” a sound effect that dates back to the 1930s and has been used in every Star Wars film. 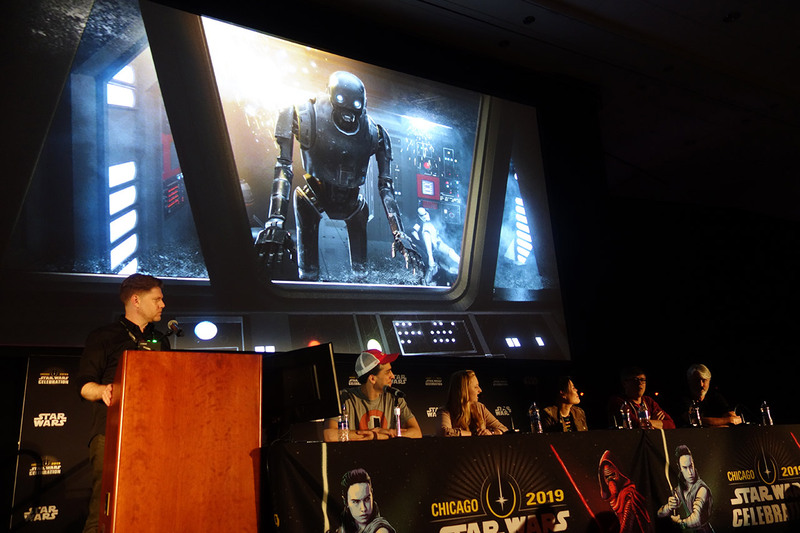 As Star Wars Celebration Chicago neared its end, fans were treated to a lively, joyous discussion from the cast and creators of Star Wars Resistance. Host David Collins — who’s also the show’s sound editor — welcomed to the stage showrunner Justin Ridge, Executive Producer Athena Portillo, and Head Writer Brandon Auman, as well as voice actors Christopher Sean, Suzie McGrath, Scott Lawrence, Myrna Velasco, Donald Faison, and Bobby Moynihan to reminisce and to tease the show’s upcoming second season. 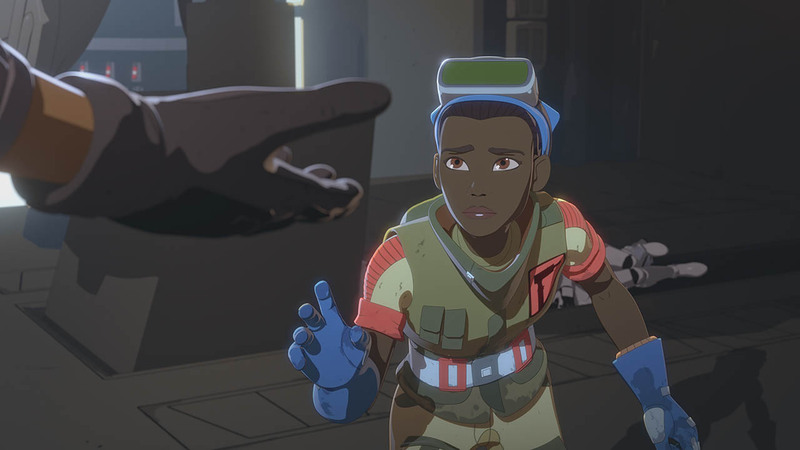 Then attendees got an extra special treat: a private screening of the Resistance season two premiere and a teaser poster which included two pieces of amazing artwork! 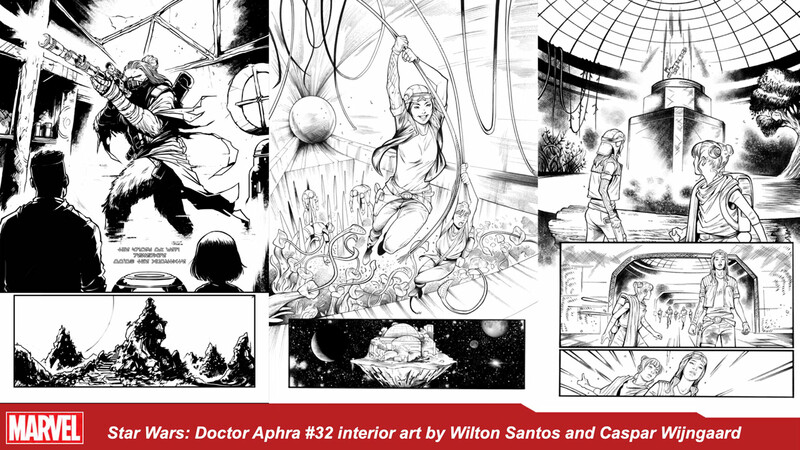 Here are six of our favorite moments and anecdotes from the panel. 1. 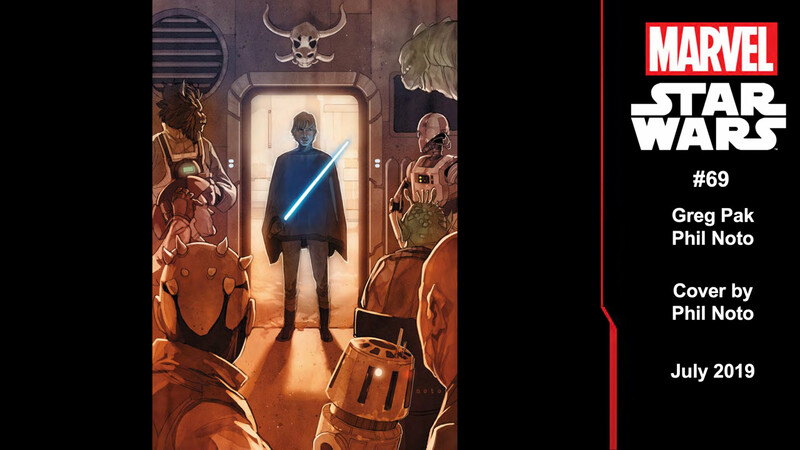 Season Two, much like The Last Jedi, will pick up right where the previous episode ended. Although you will have to wait to see for yourself, we can tell you the new season gets off to an incredible start. 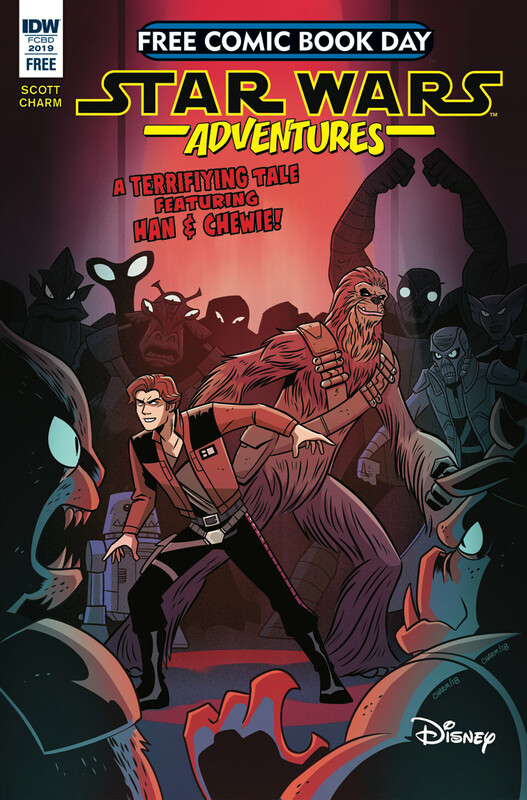 Making their way through hyperspace en route to D’Qar, the Colossus crew gets more than they bargained for: systems malfunctions, artificial-gravity fluctuations, fuel shortages, and even a meddling droid belonging to the First Order. After season one’s shocking finale, you definitely don’t want to miss what’s next. 2. 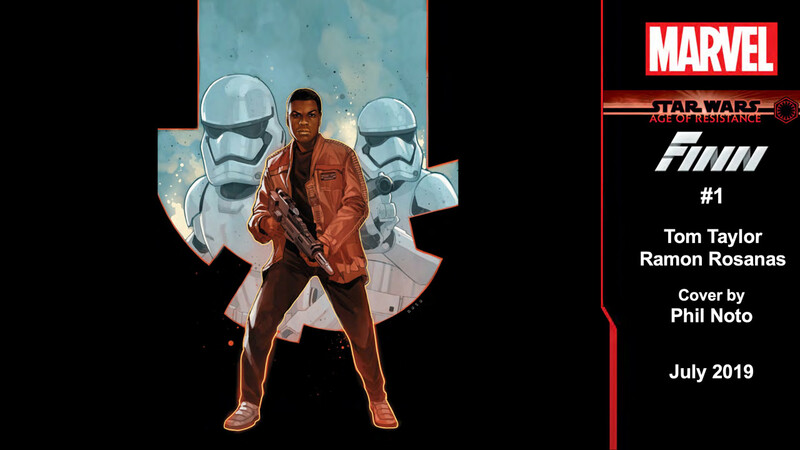 Resistance began with a simple question: What was happening before The Force Awakens? 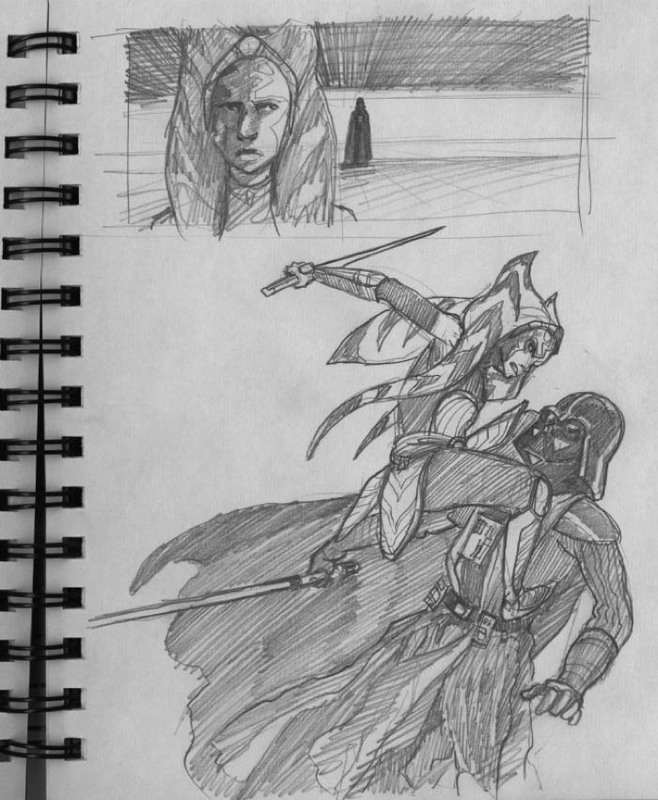 Showrunner Justin Ridge recounted an early meeting with Dave Filoni, where Filoni (who called him “Padawan”) showed him some early concept art by both Art Director Amy Beth Christenson and Tokyo’s Polygon Pictures Inc., with whom Lucasfilm produces the series. 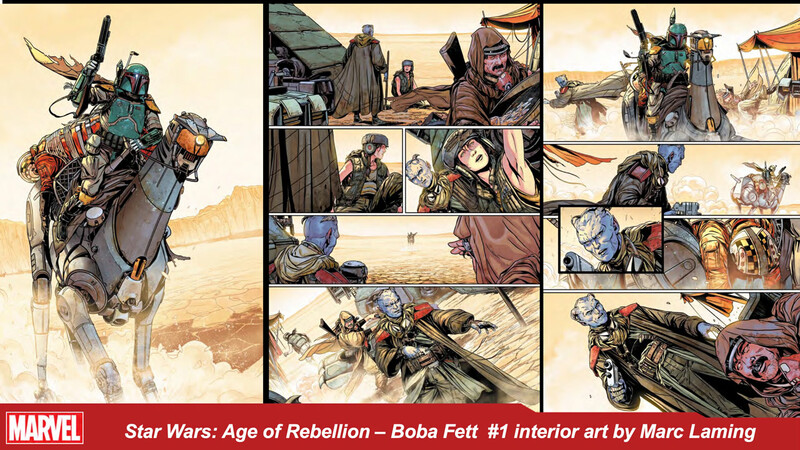 From the start, Filoni, Christenson, and everyone else involved wanted Resistance to have a colorful, vibrant look to it. They also wanted to pay tribute to the work of seminal Japanese animation projects like the films of Hayao Miyazaki and Super Dimension Fortress Macross, a.k.a. Robotech: The Macross Saga. 3.The series was essentially born at Skywalker Ranch. 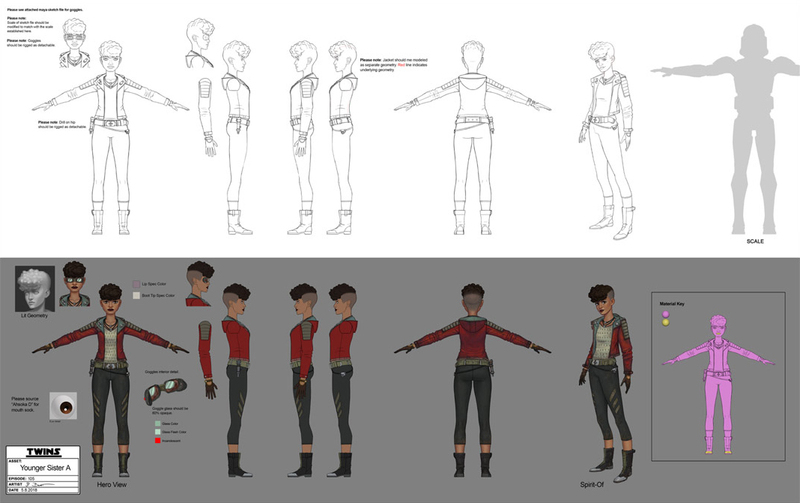 The earliest writers rooms for Resistance took place at Skywalker Ranch in 2016, after most of the characters had been created in concept art. 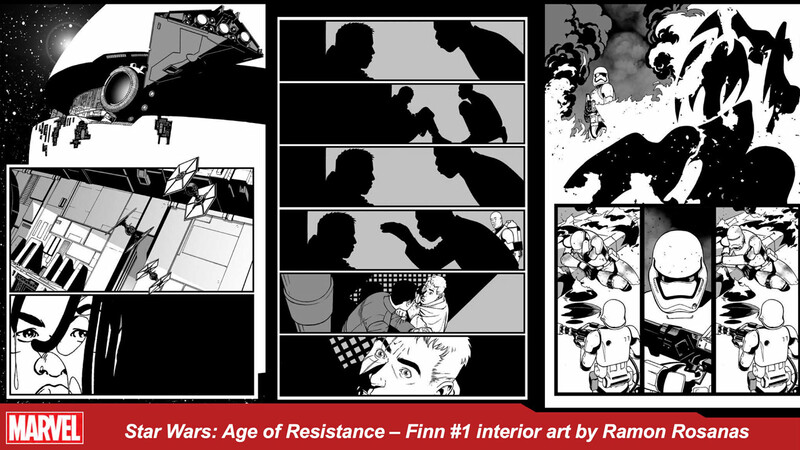 Under the guidance of Filoni, things started to take shape answering two more big questions: How might the everyday citizens of Castilon feel about the rise of the First Order? 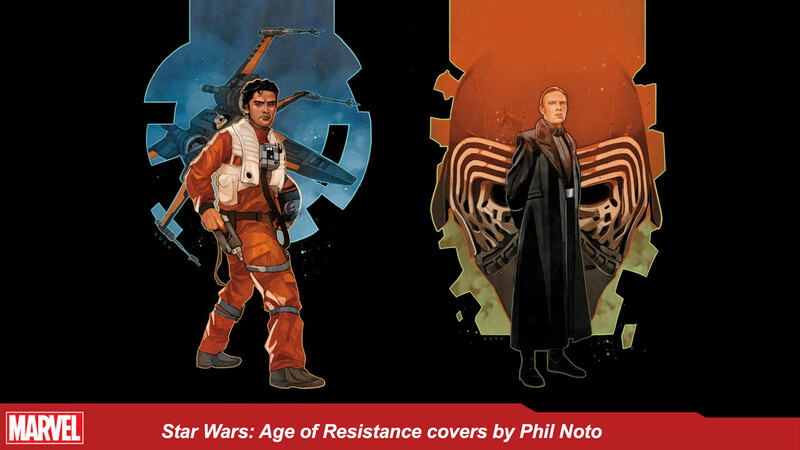 How could fan-favorite heroes like Leia Organa and Poe Dameron provide a bit of connective tissue between Resistance and the larger storytelling universe? 4. The show’s characters are the heart of the series. In creating Kazudo “Kaz” Xiono, they wanted a hero who was spectacularly gifted in the air but, like a bird, a little awkward and ill-equipped to deal with things on the ground. Actor Christopher Sean was quick to point out that Kaz would be nothing without the other members of Team Fireball. “Except Tam,” he joked, grinning at costar Suzie McGrath. Showrunner Justin Ridge wanted a character who could be both heroic and funny, and Sean nailed that balance during the audition process. Saturday Night Live alum Bobby Moynihan insisted that there’s no bigger Orka fan than him. 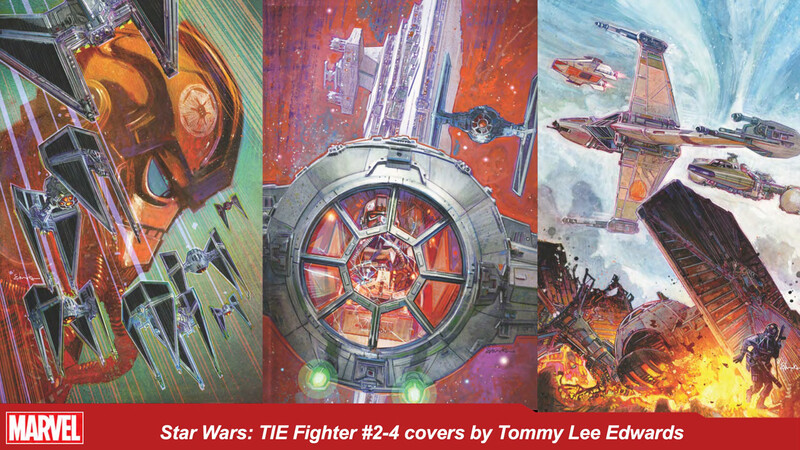 “As a lifelong Star Wars fan, the style of this show is one of the coolest things ever,” he said. “And the representation is the greatest.” Moynihan recalled having a rough time with the audition, worrying that he wouldn’t get the part; he was thrilled when he got called back. 6. And the Resistance cast is like a family. Myrna Velasco, who absolutely embodies the virtues of her character, Torra Doza, said she loves getting to work alongside so many talented female performers. “We’re all dangerous women on this show,” she said. She also has a special relationship with fellow Mexican-American actor Jason Hightower, who plays her father in the series, Captain Doza. The two of them often have long conversations in Spanish, which in turn strengthens the familial relationship they portray on-screen. 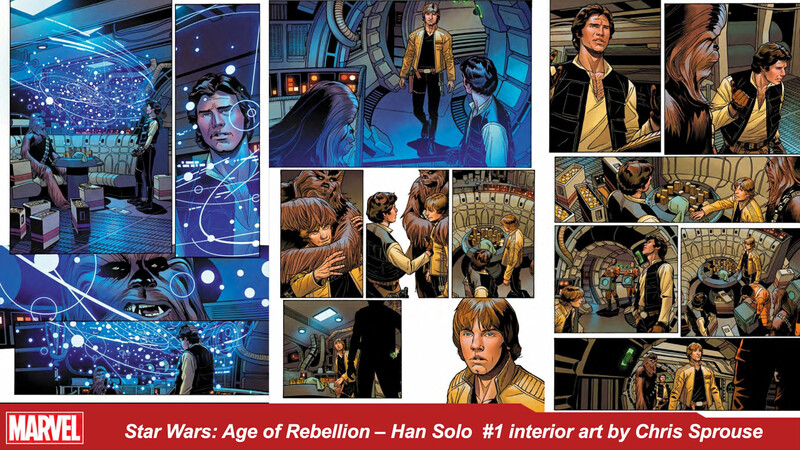 IDW Publishing, purveyors of charming all-ages Star Wars comics, revealed new storylines and art today at Star Wars Celebration Chicago. 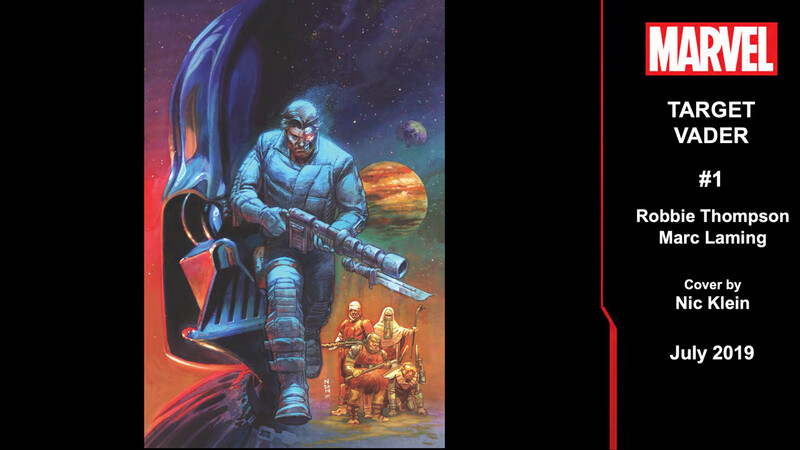 Among the biggest announcements was that writer Cavan Scott will be taking a return trip to his creepy and acclaimed Tales from Vader’s Castle, with a new series launching this October. In addition, a box set of the original comics is on the way. 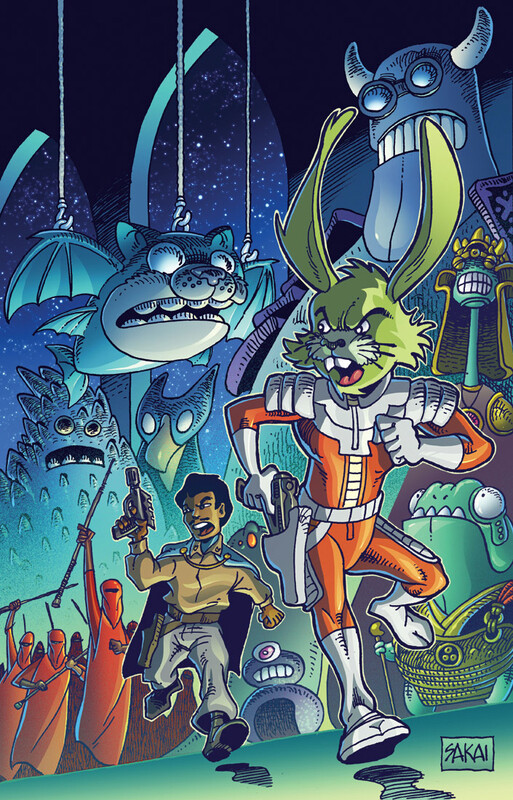 Jaxxon, the rabbit-like smuggler from Marvel’s original Star Wars comics, is back in Star Wars Adventures Annual, courtesy of Cavan Scott and Mauricet. The book features a cover by the great Stan Sakai — himself the creator of another iconic comics rabbit. 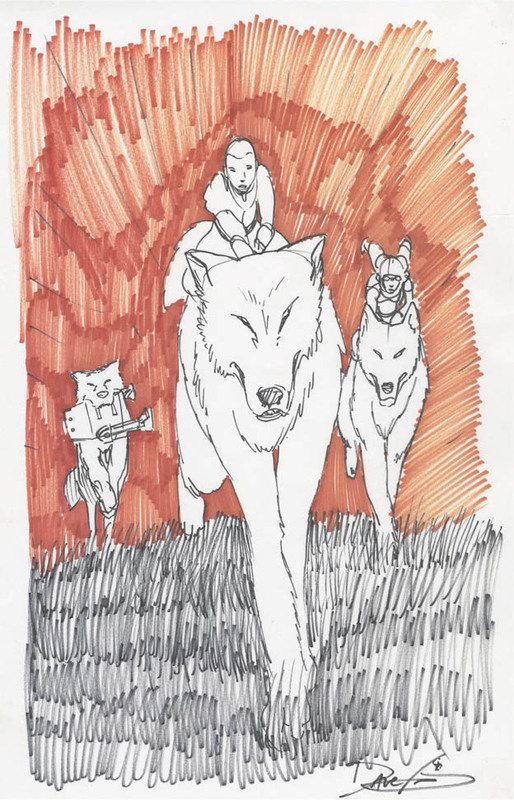 Check out Sakai’s cover below, along with IDW’s Free Comic Book Day offering — coming on May the 4th — and more from the panel! For more than 40 years, the hardworking talents behind the curtain at Industrial Light & Magic have been conjuring worlds and rewriting the rules of cinematic storytelling. During Sunday’s Star Wars Celebration Chicago panel, host David W. Collins was joined by legendary modelmaker Lorne Peterson, model makers Bill George, Jean Bolte, and John Goodson, and visual effects supervisor John Knoll as they recounted their decades of experience helping to forge the Lucasfilm legacy. Here are some of the most exciting moments from their discussion. 1. Many of the folks who pioneered the modern visual effects industry got the job out of sheer luck. “I was the right person in the right place at the right time,” Peterson recalled. One day in 1975, he ran into a friend from school while he was working various jobs — he once worked at an auto-body shop — and his old pal asked him to come help out with a project called Star Wars. 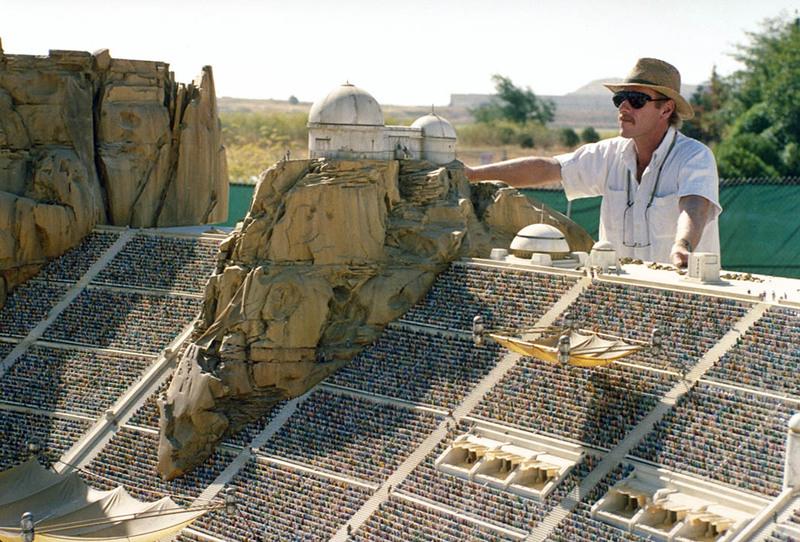 In the early eighties, model maker Bill George got a job working on films like E.T. the Extra-Terrestrial and Poltergeist, and he begged for the chance to be part of Return of the Jedi. ILM still has old photos of George dug up a few photos taken during his teenage years, when he and a small group of friends who go Dumpster diving at the ILM lot, hoping to recover bits of exploded spaceship models used on Star Wars and the original Battlestar Galactica. John Goodson began sending letters to ILM at the age of 14, to the point where they politely asked him to stop. He was hired by the studio about a week after his college graduation. 3. ILM models contain some hilarious Easter eggs. 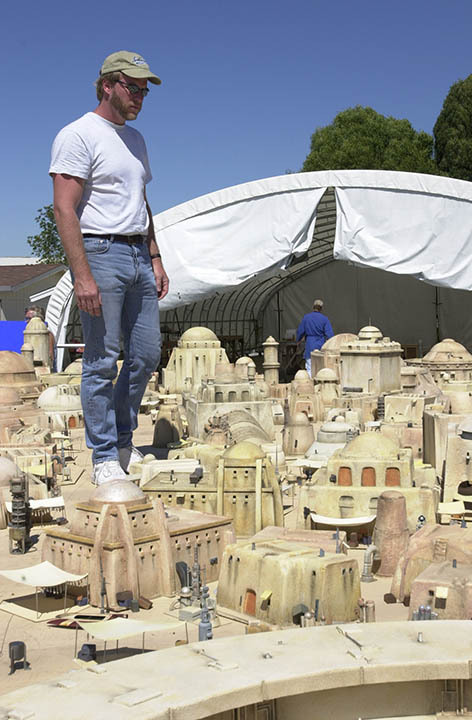 The practical model of the Naboo capital, Theed, was a massive 40-by-60-foot affair with lots of artificial grass; as a joke, Goodson snuck a model lawn mower and gas can into the miniature set. Likewise, Bill George thought the Death Star hangar bay in Return of the Jedi resembled a basketball court — so, naturally, he installed a basketball hoop on the wall. “Unfortunately,” he said, “it never showed up on film.” Peterson said he put a micro-sized pin-up calendar in the interior of the Millennium Falcon. 4. Mustafar was a trial by fire for the ILM Model Shop. 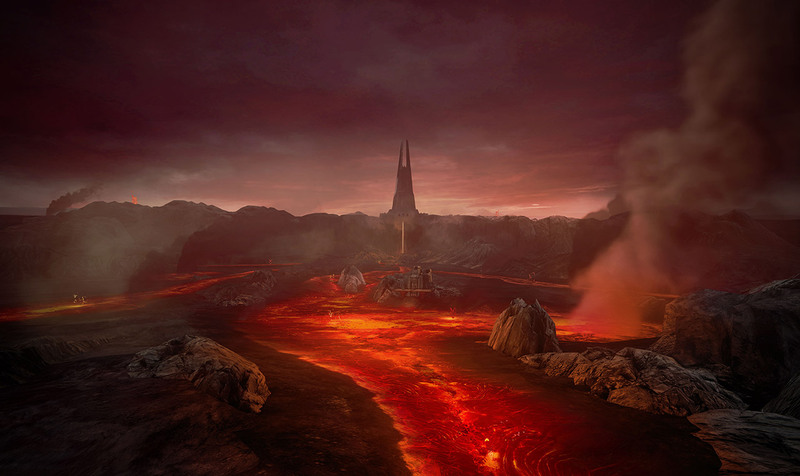 Slightly larger than half a tennis court, according to Peterson, the main miniature used for Mustafar could be tilted to direct the flow of “lava” along its many rivers of flame. 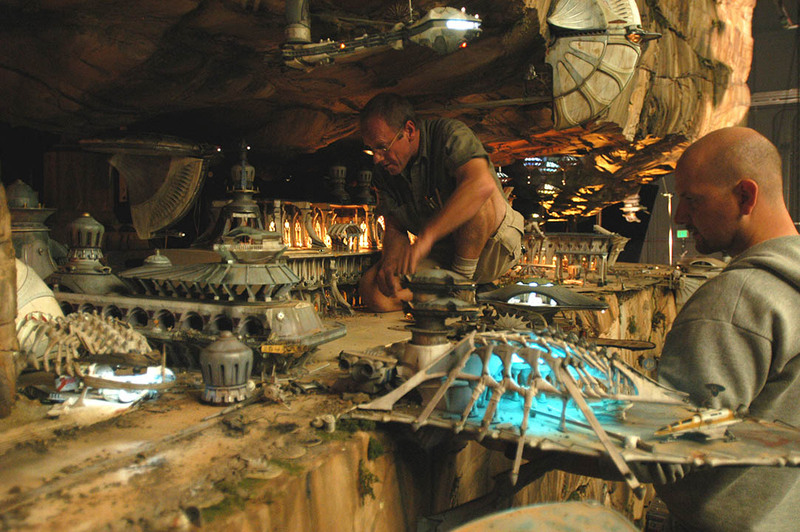 The model was used for about 400 shots during photography on Star Wars: Revenge of the Sith, requiring several large crews to manage things like the pumps that generated the lava effect. Theed and the Boonta Eve podracing track were comparable in size, Knoll noted, if not complexity. 7. 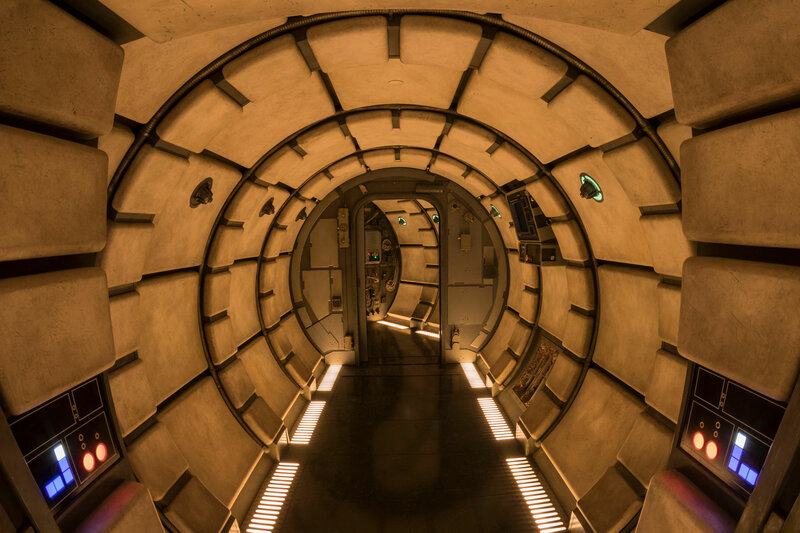 According to Knoll, the feature-length documentary The Beginning is perhaps the most authentic window behind the scenes at ILM and Lucasfilm. 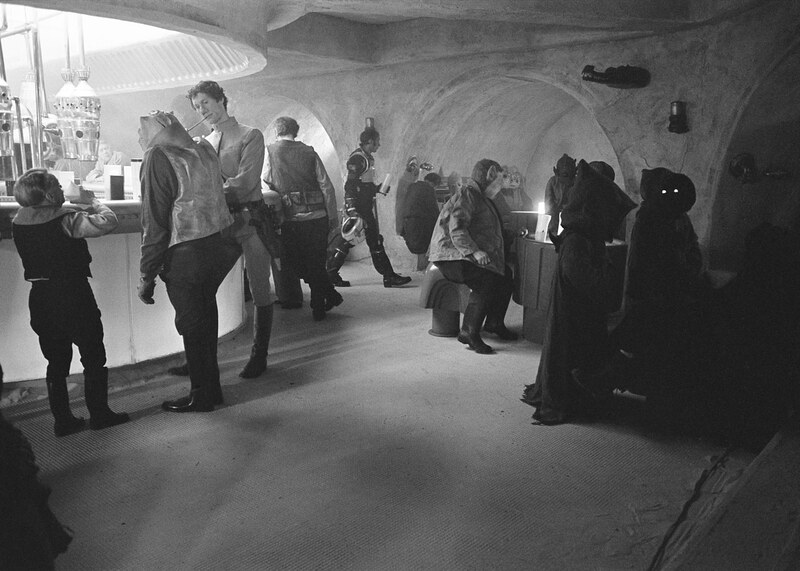 George Lucas wanted a film crew present at almost every major Episode I meeting, Knoll said, so cameras were a frequent sight. 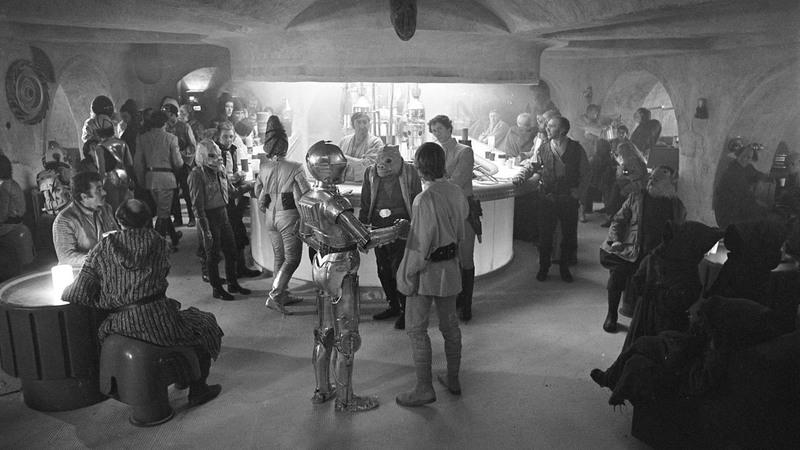 ILM got so used to them being around, they eventually stopped noticing; the result is an incredibly authentic look at the magic of moviemaking. The Beginning “tells a very truthful story,” Knoll added. 8. The advent of computer graphics caused the Model Shop a lot of anxiety in the ’90s. 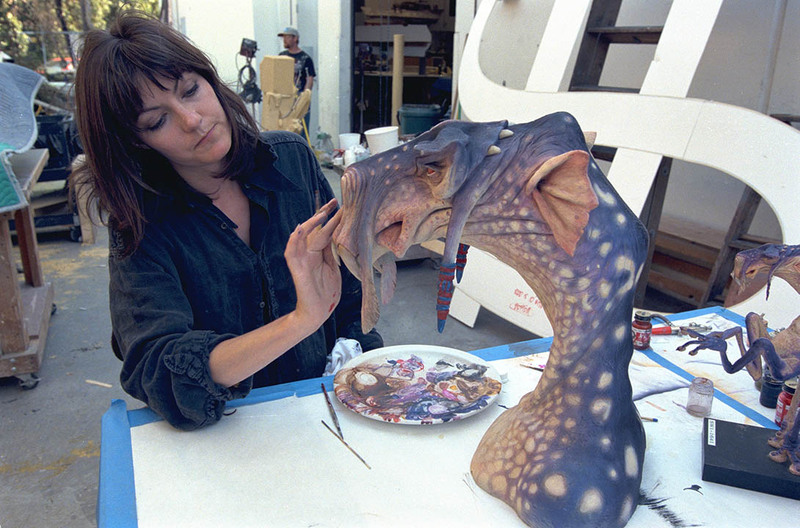 Bolte recalled being one of the first of ILM’s model makers to make the leap to the realm of CGI, and as a result, she feels the best visual-effects artists are typically the ones who understand the strengths and limitations of both methodologies. The best CGI artists, Knoll agreed, are generally ones who started with some form of practical effects. 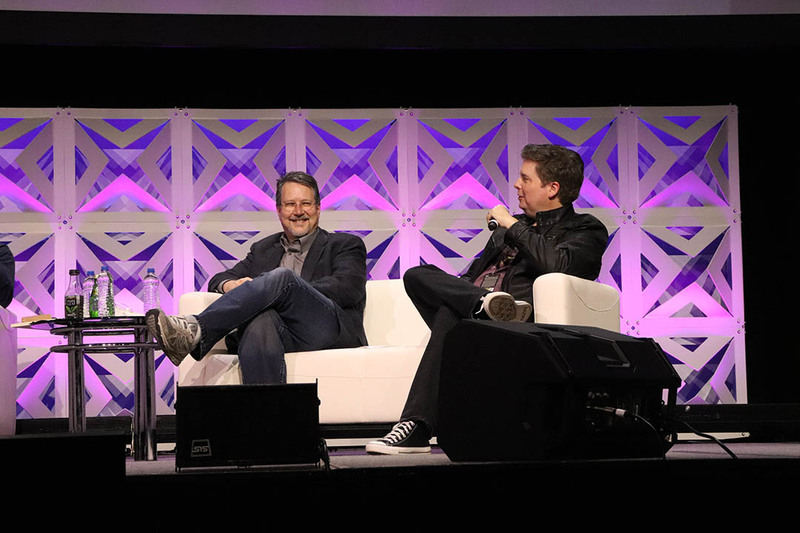 As we approach the anniversary of Star Wars: The Phantom Menace, which launched the prequel trilogy 20 years ago next month, filmmakers and cast members joined fans the celebrate Episode I at Star Wars Celebration Chicago. Celebration itself launched in 1999, just prior to the film’s premiere, and many of the cast members from the then forthcoming movie made their first appearance in Denver, Colorado, during a very wet and muddy event. Two decades later and the excitement for the beginning of the Skywalker saga has not waned. On Monday, Warwick Davis, who petitioned George Lucas via fax to be included in this first chapter, was joined by fellow cast members Ahmed Best (Jar Jar Binks), Ian McDiarmid (Palpatine), Ray Park (Darth Maul), Anthony Daniels (C-3PO), and crew including Visual Effects Supervisor John Knoll, Viewpaint Supervisor Jean Bolte, Design Director Doug Chiang, and Supervising Sound Editor Matthew Wood. 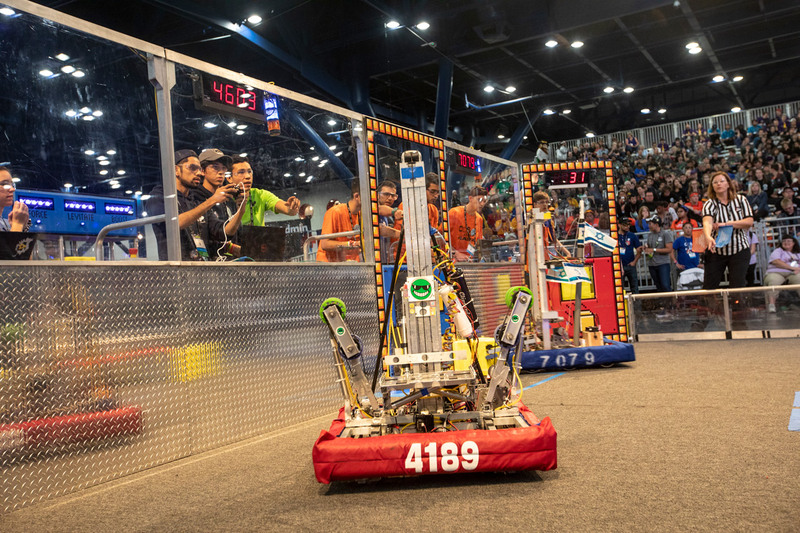 Here are 5 of our favorite highlights from the panel. 1. Ahmed Best’s standing ovation. 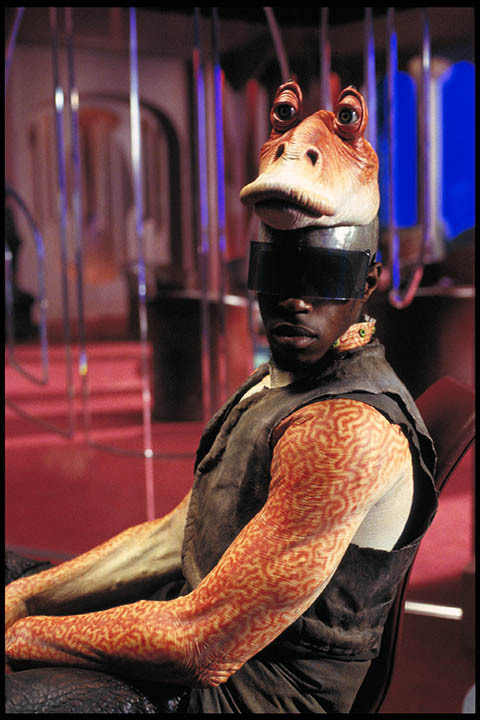 George Lucas has called Jar Jar Binks his favorite character, and the fans seem to truly adore the actor who brought the lovable Gungan to life. When Best walked on stage he was not only greeted by an arena full of applauding fans on their feet, but the crowd even broke into a chant of his name. Chiang was flustered in his first meeting with Lucas, he said. When he realized he was in the middle of a design brief, he grabbed a stack of napkins nearby and started jotting down notes. Knoll is also in the film as a bearded pilot. 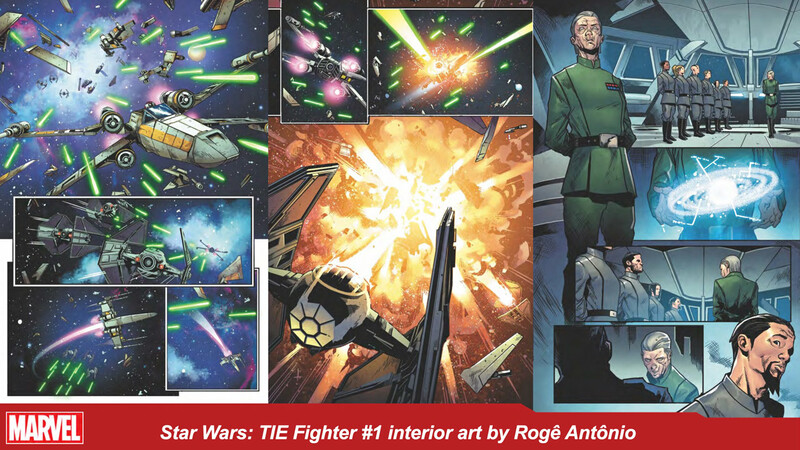 ““I’m the only pilot that you actually see get killed,” he said. 4. Ian McDiarmid may be as much of an instigator as his famously nefarious character, Palpatine. McDiarmid thought his days of playing the Emperor were over after Return of the Jedi. “As you know, Darth Vader chucked me down that tunnel and I thought, ‘Well, that’s the end,'” he said. So when he signed on to return as the mysterious Darth Sidious and Senator Palpatine, he had to keep it under wraps that he was playing the dual role to preserve the surprise even among his castmates. McDiarmid also made a surprise appearance during the Episode IX panel on Friday. “I just happened to be in the area so I thought I should just drop in for a laugh,” he joked. 5. 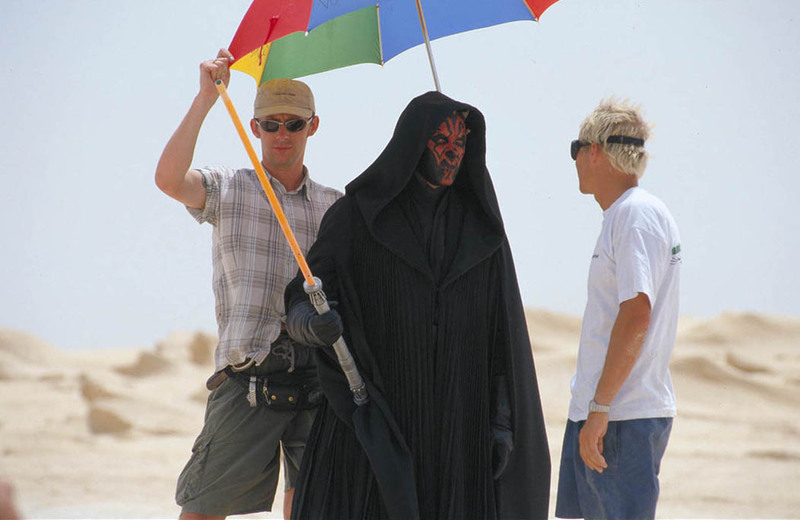 Ray Park revealed that in his headcanon, Darth Maul has a very different theme — Prodigy’s “Firestarter.” It’s the song he was listening to in preparation for Maul’s big reveal before the duel of the fates. 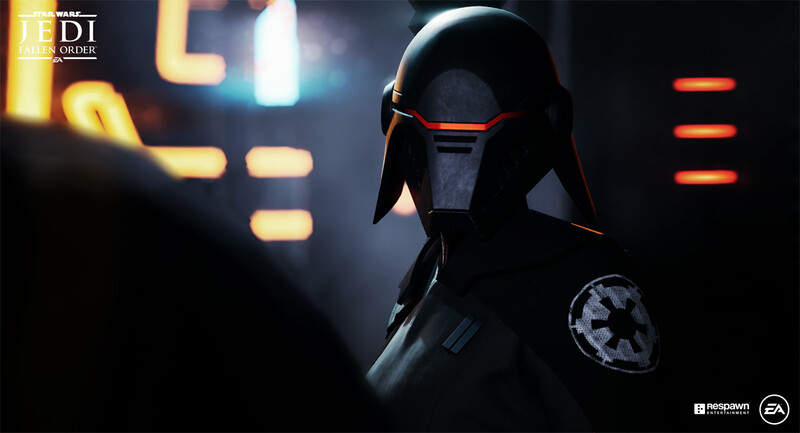 You’ve already seen the first breathtaking trailer for Vader Immortal, a virtual reality experience coming later this year, which made its debut at Star Wars Celebration Chicago. 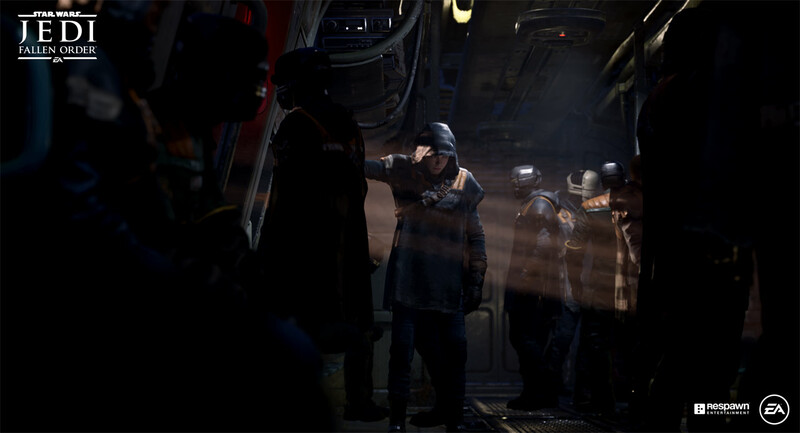 But did you know that Lucasfilm’s immersive entertainment studio ILMxLAB has been developing and experimenting with virtual and mixed reality for years? 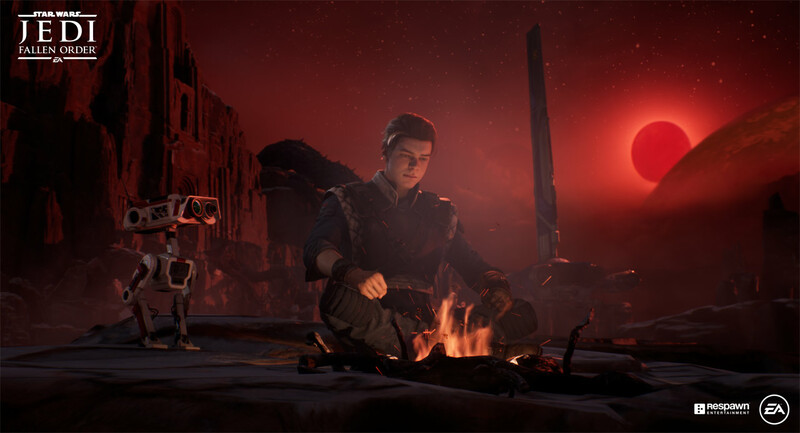 At Celebration, the team assembled a fascinating panel that offered behind-the-scenes glimpses into the projects we’ve seen from ILMxLAB, along with teases of what we might find in the dark halls of Vader’s Castle on Mustafar. Moderator Bryan Bishop of ILMxLAB was joined by Director of Experience Development Mohen Leo, Production Coordinator Sarah Barrick, Senior Manager of Talent and Production Julie Peng, Senior Experience Designer Jose Perez III, and Executive Creative Producer Mark Miller to give the packed room a peek behind the curtains of ILMxLAB. Here are five things we learned. 3. 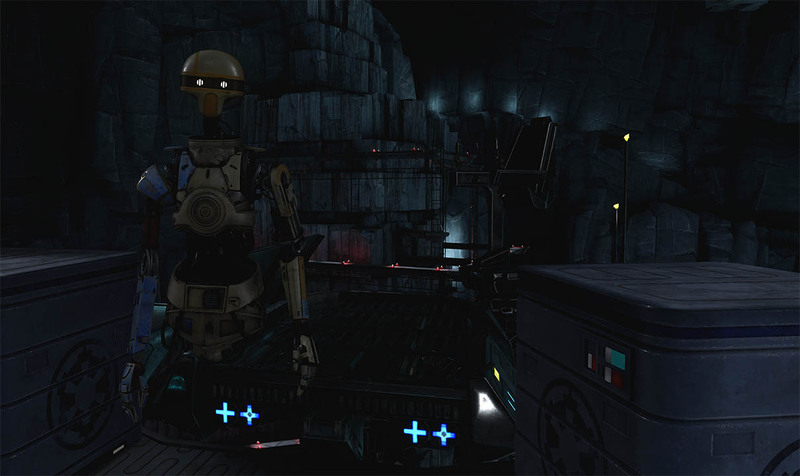 Pablo Hidalgo voices the training droid in the Lightsaber Dojo. “For those of us that work with [the Lucasfilm Story Group],” said Mark Miller, “it was sort of normal because we’d say, ‘We want to do this,’ and he’d say, ‘No, you can’t do that in Star Wars.’” Leo agreed and praised Hidalgo’s deadpan performance. 5. 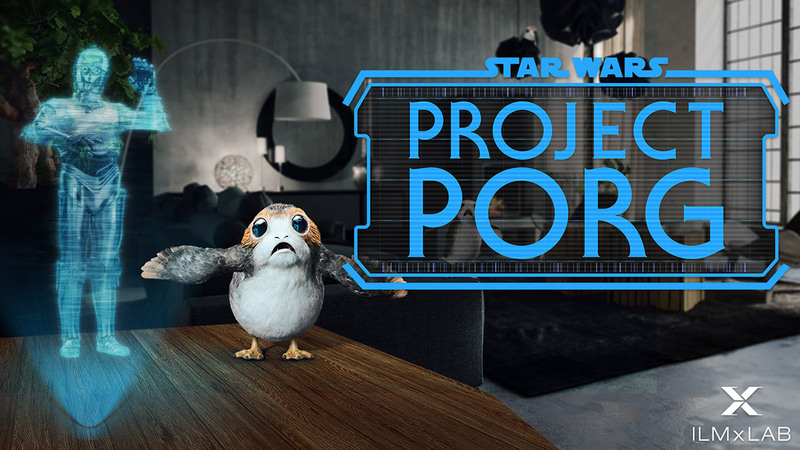 Your pet porg in Project Porg can play with a stuffed Chewbacca doll, chase a laser pointer, and more. Julie Peng recalled losing hours by simply playing with the laser pointer with her porg. 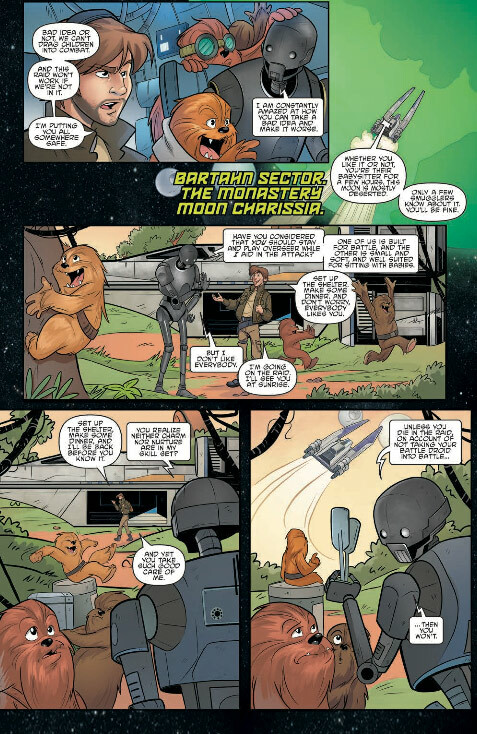 Chewbacca and Threepio have entrusted you with the cute critters, and it’s up to you to keep them entertained. Anthony Daniels even returns as C-3PO to guide you through your new life with your porg companion. “It really moves the bar up from something where you’re just interacting with characters to where there’s a little story that’s very fun,” said Miller. 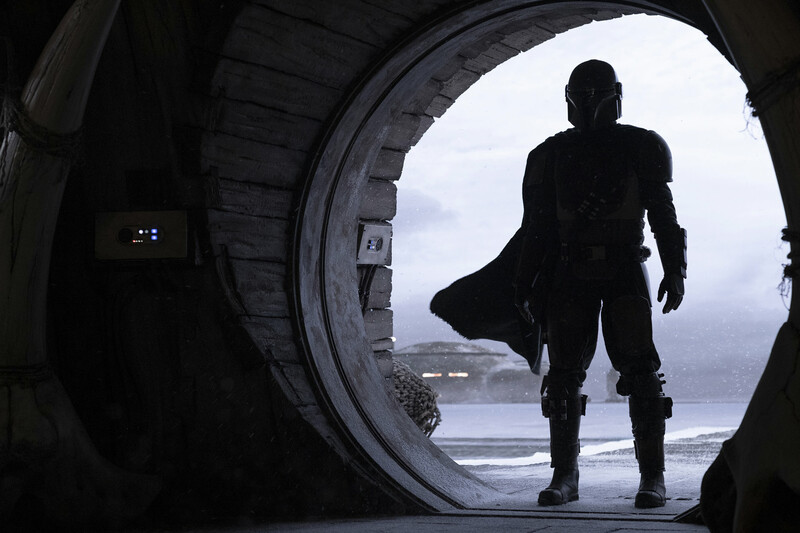 The Mandalorian has strolled into our lives, a mysterious figure in a gleaming helmet, a man with no name, his identity hidden by a mask. 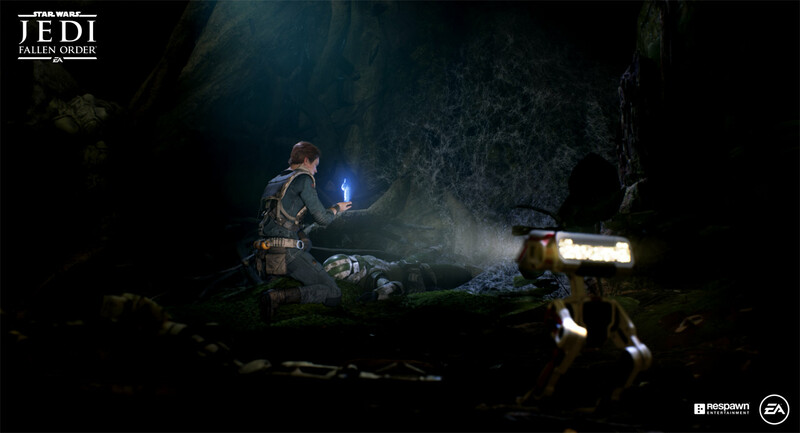 On Sunday, fans at Star Wars Celebration Chicago were among the first to see finished footage of the character from the forthcoming show, the first live-action Star Wars series slated to premiere on Disney+, responding with cheers and a standing ovation for the gritty and immersive world of bounty hunters, scum and villainy. 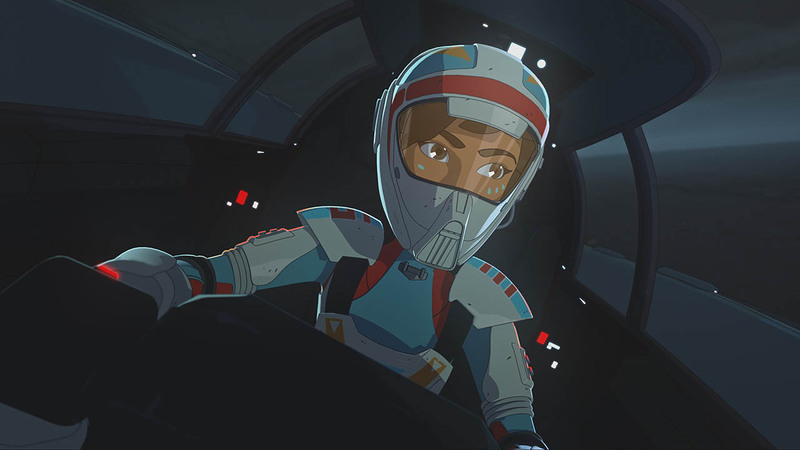 Showrunners Jon Favreau, who wrote and executive produced the series, and Dave Filoni, who directed the first episode, were joined by actors Pedro Pascal, Gina Carano, and Carl Weathers as they answered a few questions about their characters and what the series has in store. 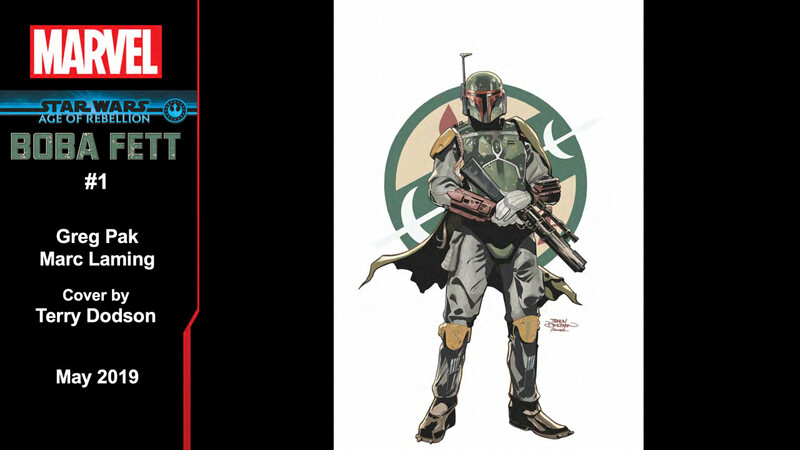 Here are nine things we learned during the panel celebrating the arrival of The Mandalorian. “For your desk,” Filoni corrected. 2. You can expect a mix of new aliens, planets, and starships, plus plenty of familiarity. 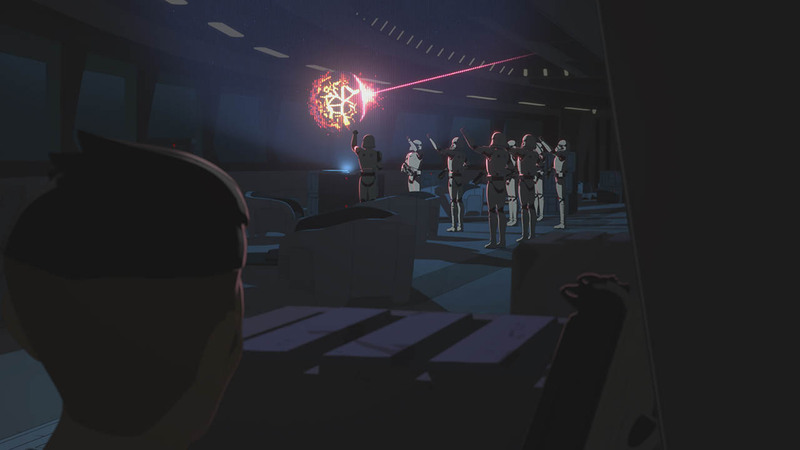 In exclusive footage shared only with fans in the arena, the crew revealed that the story takes place about five years after the events of Return of the Jedi. 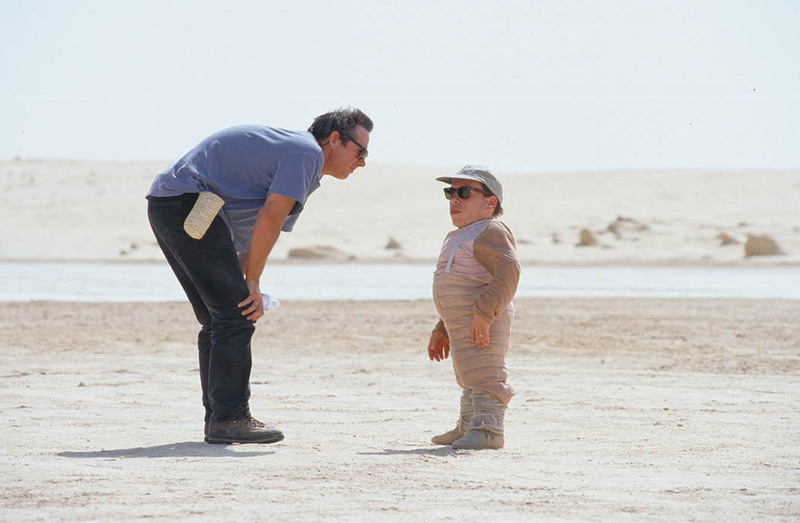 In the footage, Favreau promised new planets, new alien races, and other completely unique creations, “but if you’ve been a fan, there’s a lot of care that’s gone in to all of the details,” he added. 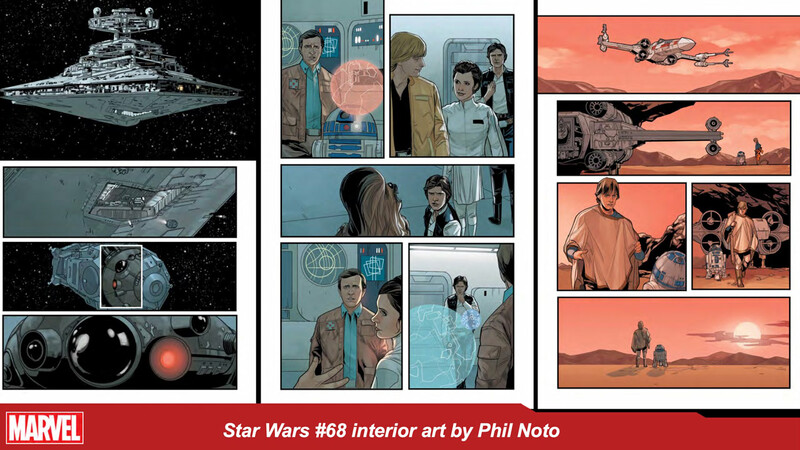 “We wanted it to feel completely connected and familiar” for fans who have been along for the ride for decades, he said, and that means peppering in recognizable aliens, droids, and stormtroopers. In a separate clip introducing a montage from the series, fans glimpsed a Kowakian monkey-lizard roasting on a spit, an IG unit, and other familiar aspects of the Star Wars galaxy we know and love. 3. Fans were invited in to be a a part of filming behind and in front of the camera. Favreau said one of the prerequisites he set out before hiring directors was that everyone leading an episode had to have been a Star Wars fan first. 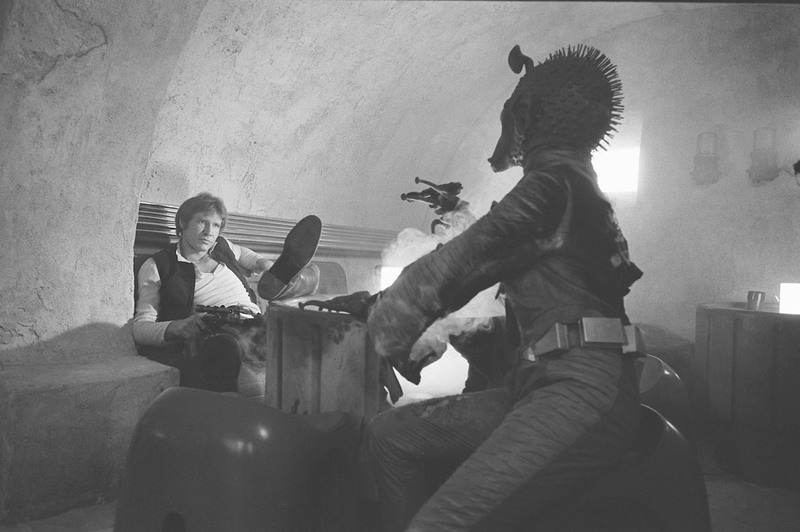 A one point during filming, he realized they didn’t have enough sets of stormtrooper armor to complete a shot. He and Filoni made some calls and members of the Imperial fan cosplay group the 501st Legion answered, arriving on set for filming much to their surprise. Normally when the group is called in, it’s for a parade of another event. 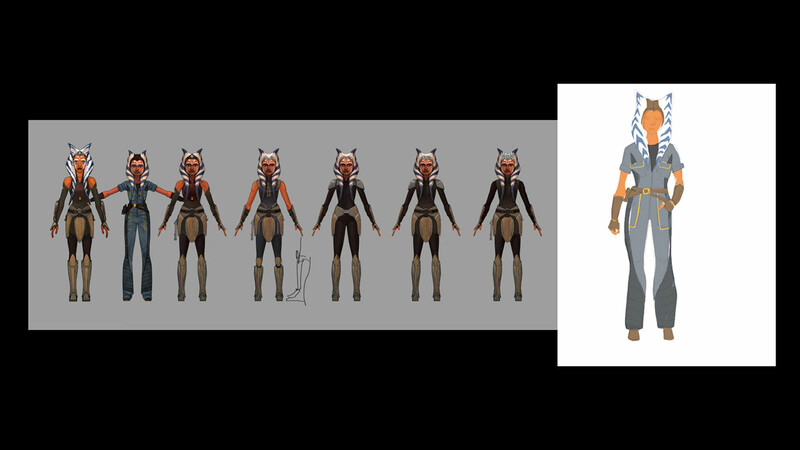 “It’s not normal that you show up on a planet where there’s a Mandalorian,” Filoni said. Carano was impressed by the level of detail they achieved in their costuming. “These people are legit,” she said. 5. 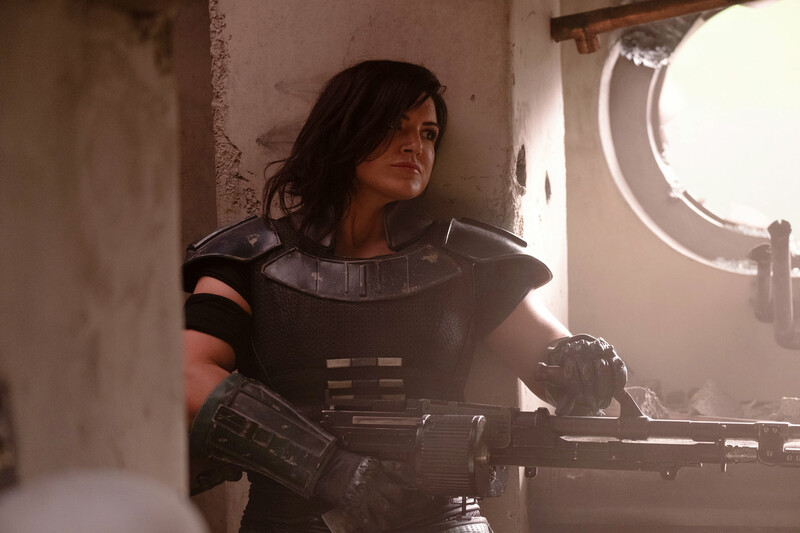 Gina Carano plays a former shock trooper named Cara Dune. “I know, not what you were reading online,” she quipped to the audience. “I was watching all of you.” The production called for the most secrecy of any job in Carano’s career, she said, finally getting to describe her character to the public as “a bit of a loner, which isn’t a far stretch” who struggles with reintegrating into society. 7. Both Weathers and Carano did many of their own stunts. “The only person that didn’t have any fun was Gina’s stunt double,” Favreau joked, because they hardly got to work. Instead, when a scene called for Carano to carry a wounded comrade off a battle field, she did it herself, moving a real person, not a dummy, much to the surprise of some bystanders on set. “I’ve been doing my squats so this is good,” she said. 8. The show will mark many firsts. 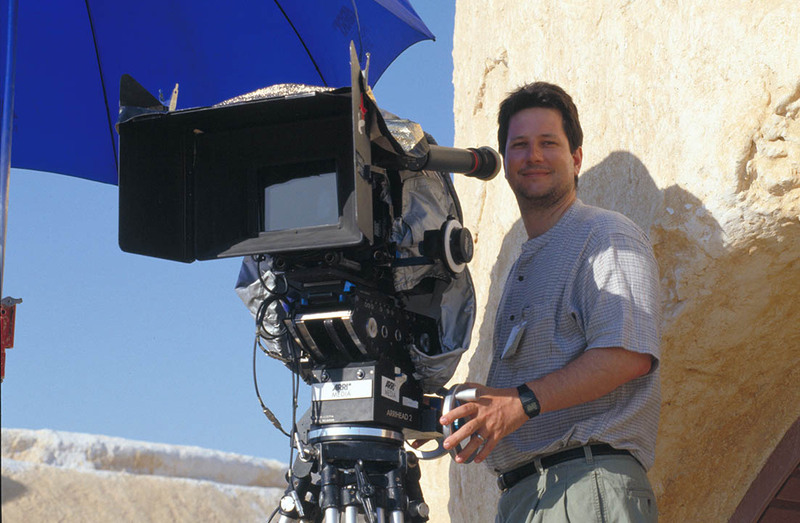 It’s the first live-action Star Wars series, and the first time Star Wars has been filmed in the United States, with production on set in Los Angeles. 9. 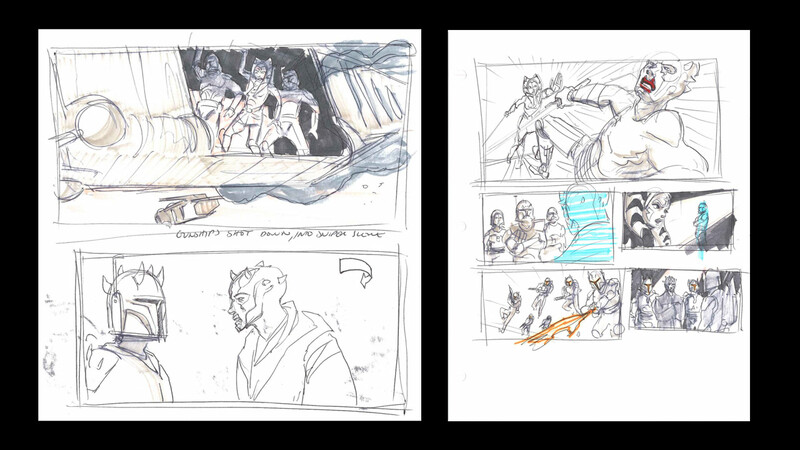 But it’s not the first time Filoni and Favreau have collaborated — they were each other’s test audiences for Iron Man and Star Wars: The Clone Wars, respectively. The two revealed they met working at Skywalker Ranch and called upon each other to be the first to review these projects more than a decade ago. 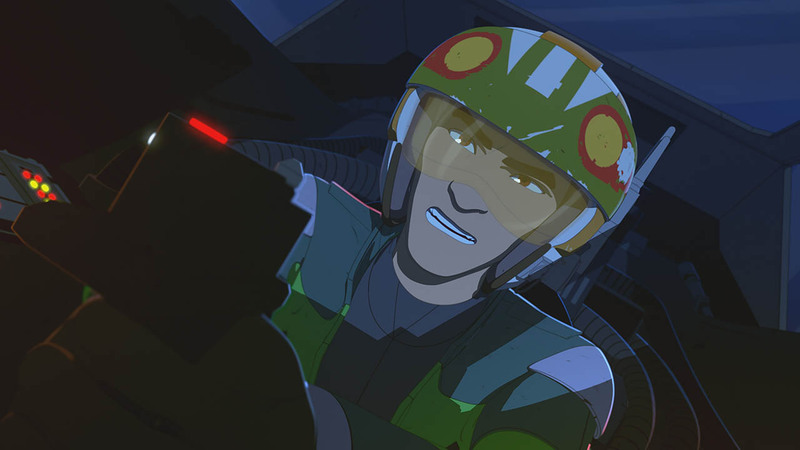 Favreau went on to voice the character of Pre Vizsla, a fearsome Mandalorian warrior wielding a dark saber, on the animated series. Now they’re almost ready to reveal their newest collaboration to the world. 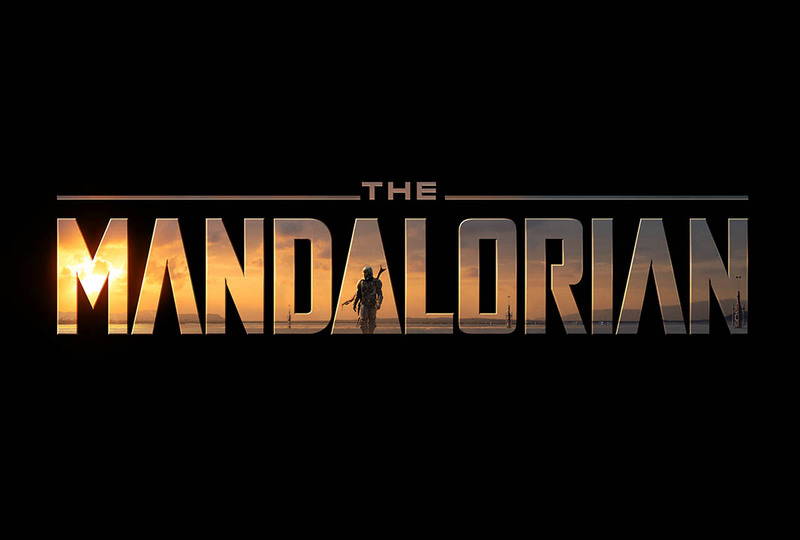 Today at Star Wars Celebration Chicago, Jon Favreau (executive producer and writer) and Dave Filoni (executive producer and director) pulled back the curtain on The Mandalorian — the first ever Star Wars live-action series, coming November 12 to Disney+. 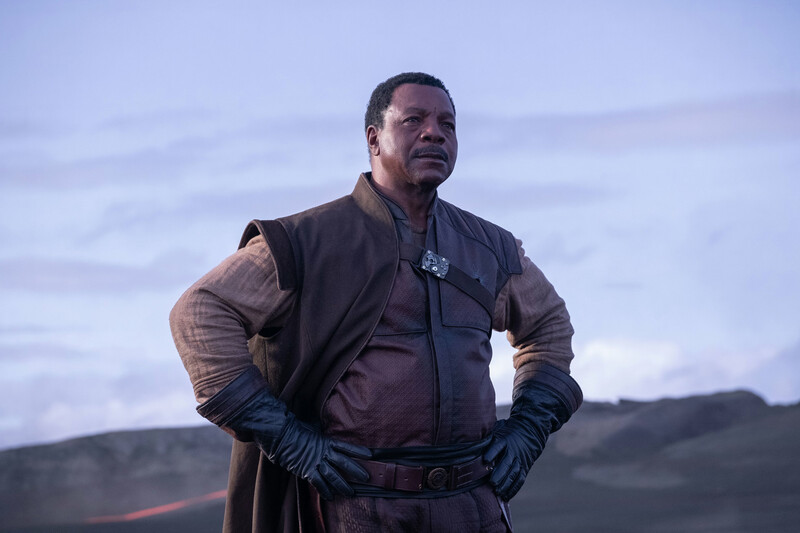 Check out several new photos revealed during the panel below, featuring the Mandalorian and our first looks at Greef (Carl Weathers) and Cara Dune (Gina Carano), as well as the official logo. 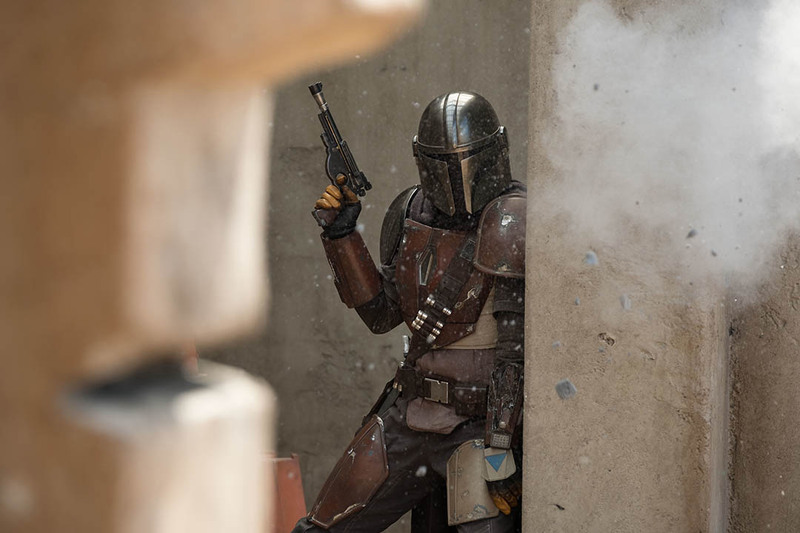 The Mandalorian stars Pedro Pascal (Narcos) in the title role as a lone Mandalorian gunfighter, alongside Gina Carano (Deadpool), Carl Weathers (Predator), Giancarlo Esposito (Breaking Bad), Emily Swallow (Supernatural), Omid Abtahi (American Gods), Werner Herzog (Grizzly Man), and Nick Nolte (Warrior). 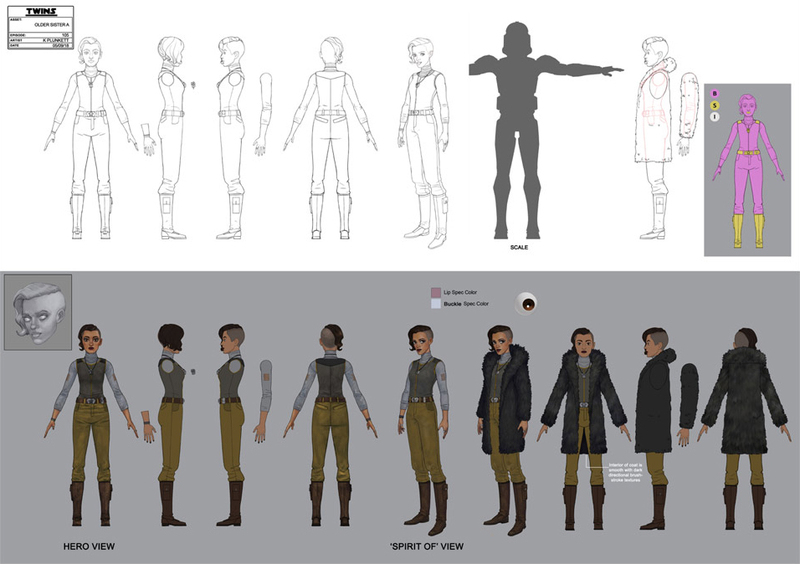 Star Wars Rebels may be over, but fans at Star Wars Celebration Chicago were reunited with cast members Vanessa Marshall, Tiya Sircar, and Taylor Gray, as well as show runner Dave Filoni, to talk about the fourth and final season. Here are eight of our favorite highlights from the panel hosted by Amy Ratcliffe. Months later, when the cast gathered for the series finale, Vanessa Marshall was shocked to learn that Hera Syndulla was a mother. “I just recovered last week from how hard you grabbed my arm,” Taylor Gray joked. 2. 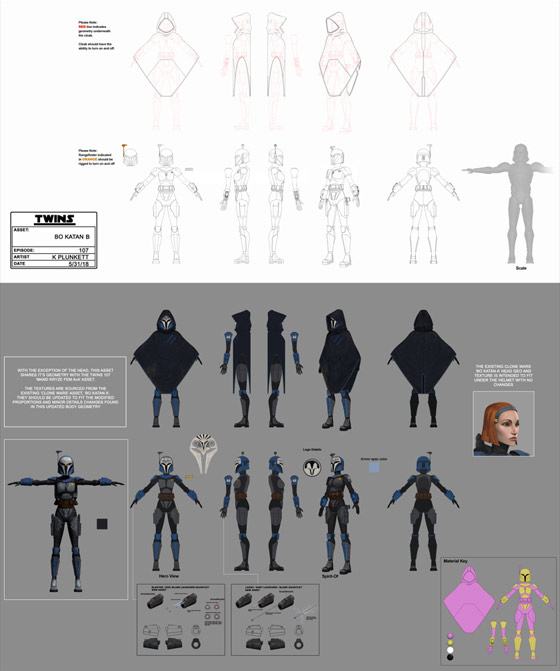 But Filoni still had some surprises in store for the voice of Sabine. 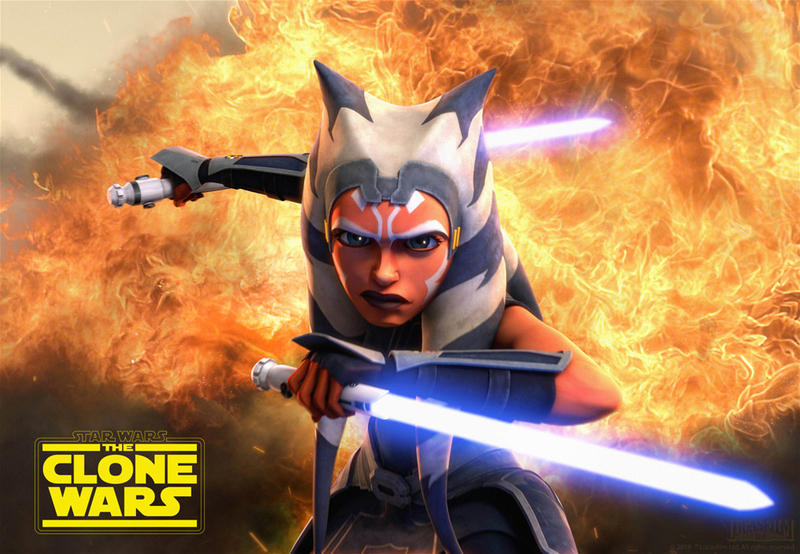 “When I saw Ahsoka I had the same ‘whaaaat?’” she said. 4. But he is ready to open up his notebooks. 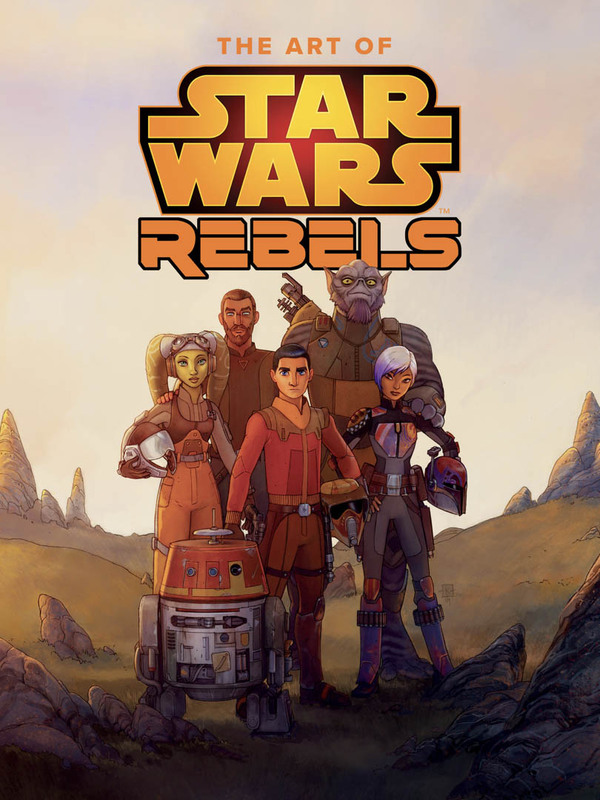 Fans at the panel were among the first to see the cover of the forthcoming Art of Star Wars Rebels book, illustrated by Killian Plunkett, and several sketches and storyboards FIloni made for the the final season as well as the “Twilight of the Apprentice” arc. 7. Freddie Prinze Jr. was adamant about Kanan dying in the final season. 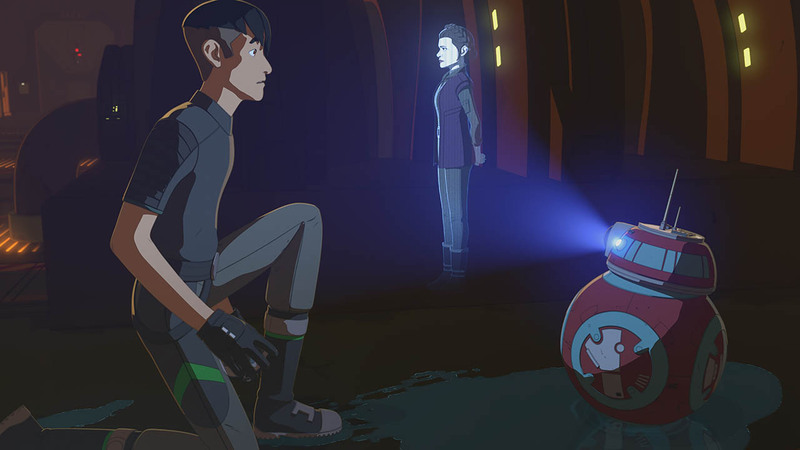 Filoni said it was important for the show to deal with some serious themes, including the loss of a loved one and Kanan’s selfless sacrifice to save his family. And the voice actor behind the character wouldn’t have had it any other way. “I was like, ‘man, Freddie, this is depressing,” Filoni joked. 8. Thanks to a fan, Filoni finally has his own adventure figure. 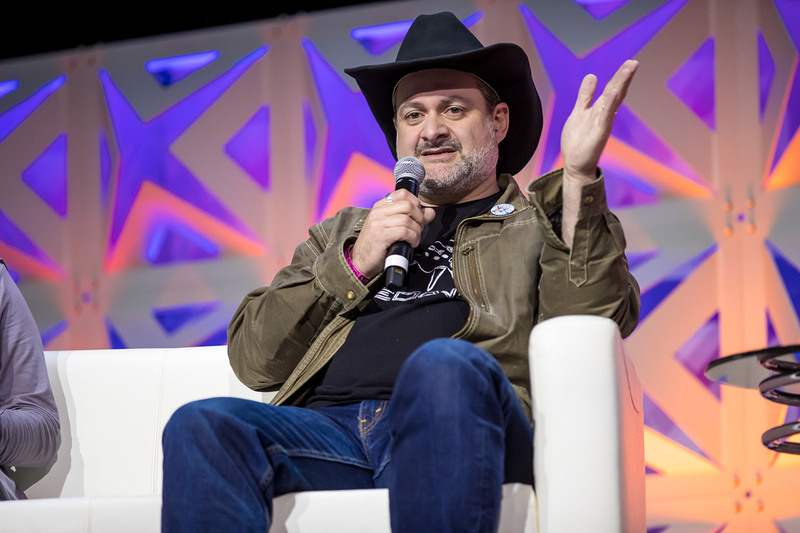 At Star Wars Celebration Orlando, Filoni lamented that he wasn’t represented in the Forces of Destiny line of adventure figures. So a crafty fan fixed that by creating and gifting Filoni with his own 12-inch mini-me at the panel’s close. The figure was pretty close to the real thing, down to the wolf shirt and the tiny hat, but had some noticeable differences. 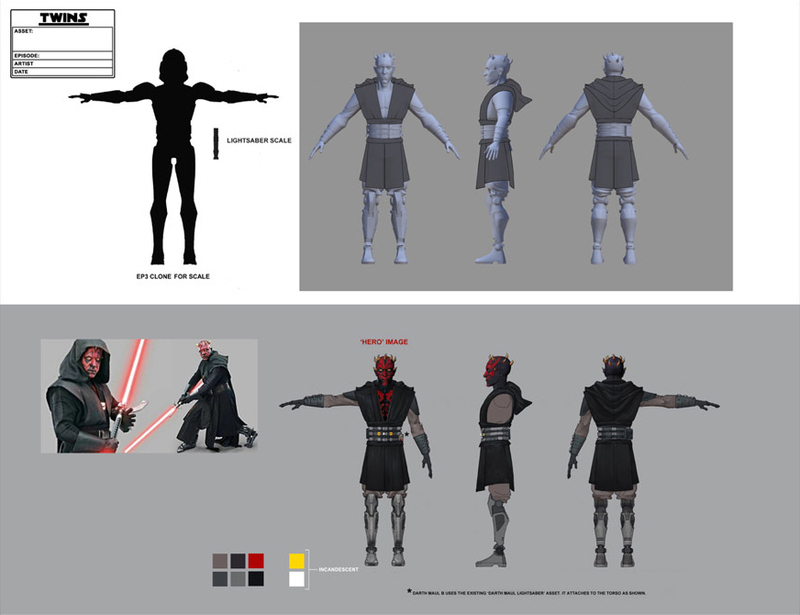 “I’ve been working out,” Filoni quipped before setting the figure on his shoulder to begin a dialogue. 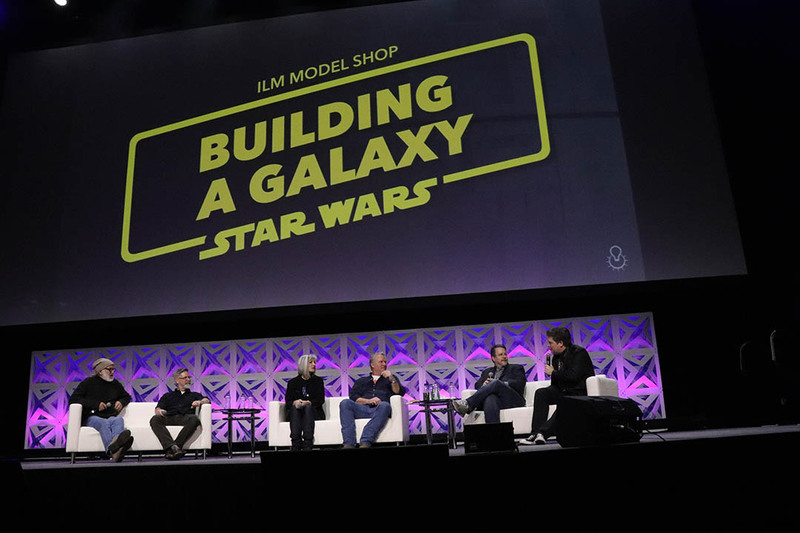 The minds behind Star Wars: Galaxy’s Edge, the upcoming Star Wars-themed land, gathered for a special panel discussion — “Bringing Star Wars to Life at Disney Parks — today at Star Wars Celebration Chicago. Hosted by Josh Gad, the panel featured Scott Trowbridge (portfolio creative executive / studio leader at Walt Disney Imagineering), Asa Kalama (executive creative director at Walt Disney Imagineering), Margaret Kerrison (managing story editor at Walt Disney Imagineering), Chris Beatty (executive creative director at Walt Disney Imagineering), Doug Chiang (Doug Chiang, legendary concept artist and now vice president and creative director at Lucasfilm), and Matt Martin (creative executive, Lucasfilm Story Group). 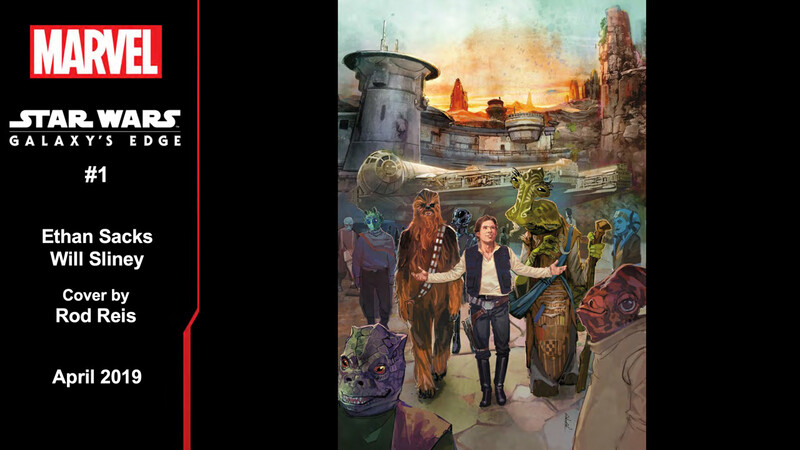 This preview featured a look at the Hondo Ohnaka Audio-Animatronics figure, new announcements, and much more. Here are six things we learned. “We translate the Coca-Cola name in more than 100 languages,” added Brad Spickert of The Coca-Cola Company, “but now, being able to share them for the first time in Aurebesh with this crowd at Celebration truly takes my breath away.” Attendees of the panel went home with a free Aurebesh Coca-Cola T-shirt, inspiring understandable jealousy from host Josh Gad. 2. You may hear and feel the presence of Yoda. And he will be voiced by Frank Oz, Chris Beatty confirmed. Happy to hear this, the crowd was. 3. Figrin D’an is making a comeback. 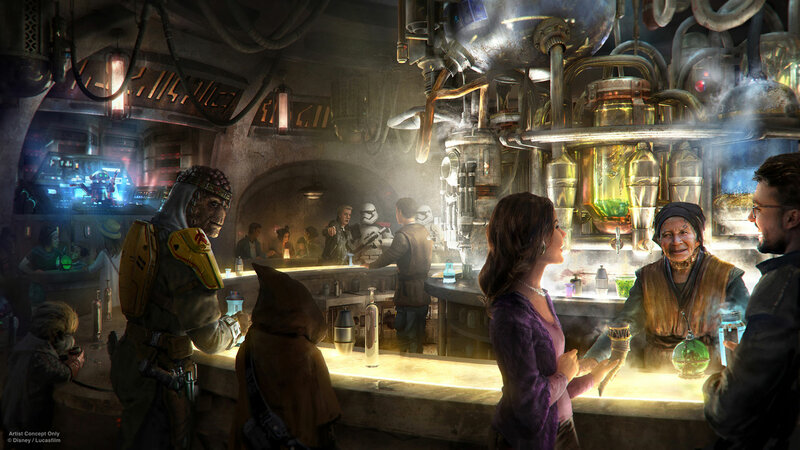 The cantina band from Star Wars: A New Hope has a new song in Star Wars: Galaxy’s Edge; it was played for the crowd, and sounds just right if you know their past work. But the music of Batuu is varied. Another new song blending techno and hip-hop elements was played, featuring droid sound effects and an inventive, other-worldly arrangement. 6. 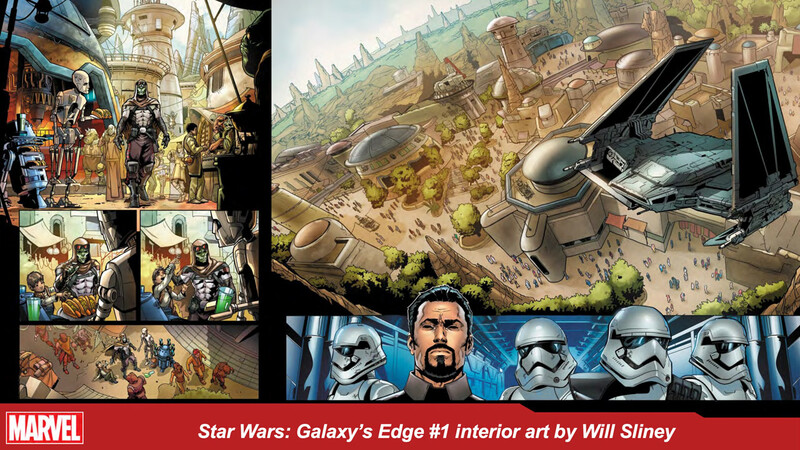 You can enter a Twitter sweepstakes for a chance to win a vacation to visit Star Wars: Galaxy’s Edge at Disneyland Resort. 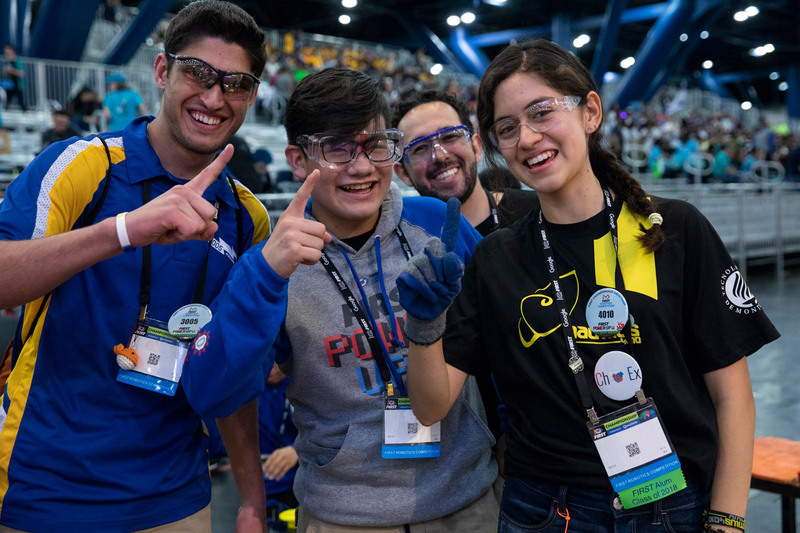 As announced at the panel, Lucasfilm and parent company Disney, and the global K-12 nonprofit organization FIRST (For Inspiration and Recognition of Science and Technology) are teaming up to inspire the next generation of heroes and innovators. This sweepstakes is meant to help spread awareness of FIRST — go here for full details! 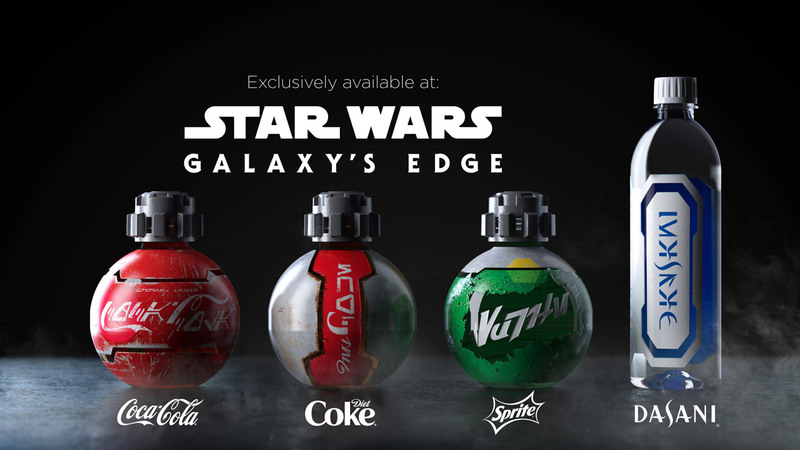 For more on Star Wars: Galaxy’s Edge, check out StarWars.com’s in-depth features on the making of the land, its food and beverages, and the shops and characters you’ll encounter. A museum-worthy bust of the queen of Naboo, lightsabers so intricate they look like you could ignite them at any moment, and a towering replica of Chewbacca were just some of the highlights during a collectibles panel hosted by Lucasfilm’s Brian Merten Friday at Star Wars Celebration Chicago. 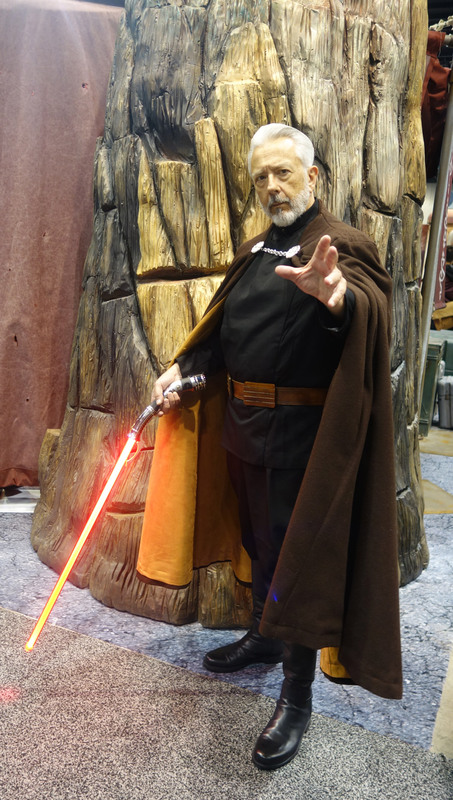 We also learned not to mess with Merten, who seemingly Force-choked a heckler before giving fans a closer look at the most exciting new treasures coming your way in 2019 and beyond. Here are seven of the panel’s biggest highlights. 1. Lladró is giving Queen Amidala the royal treatment. 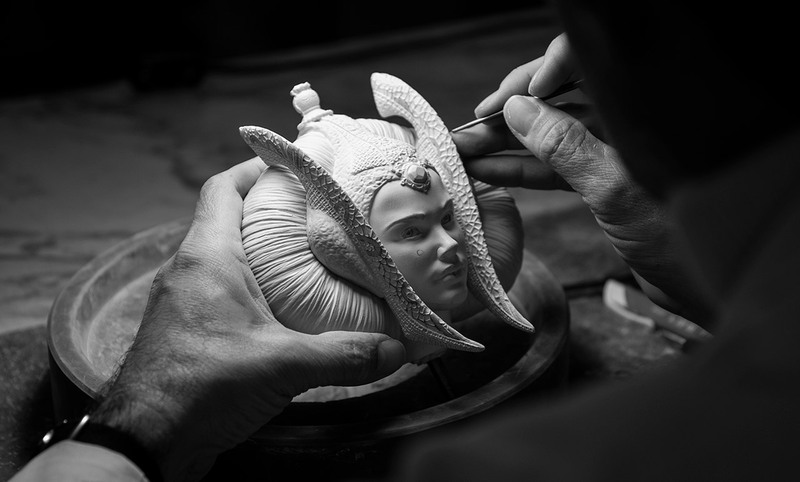 Lladró, a maker of homemade porcelain art from Valencia, Spain, is making its debut in a galaxy far, far away to honor Queen Amidala — and other heroes like her — with the Born to Rebel series. 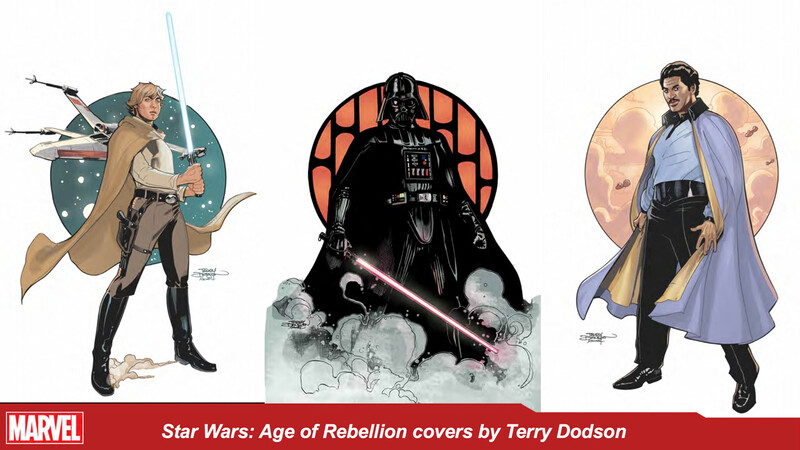 The collection will eventually include characters like Leia, Amilyn Holdo, Rey, and Ahsoka, in honor of each rebel’s willingness to fight back against the totalitarian oppression of the Trade Federation, the Empire, and the First Order. Featuring color, a pristine glaze, and a gold luster, the handcrafted figurine celebrates the 20th anniversary of Padmé Amidala’s introduction in 1999’s The Phantom Menace. 2. EFX Collectibles unveiled several glorious replica helmets. Bryan Ono, CEO and president of EFX, announced a new precision-cast Episode V Boba Fett helmet based on the original castings used in The Empire Strikes Back. The mask of Fett — meticulously painted to match the screen-used costume — is available to pre-order now. 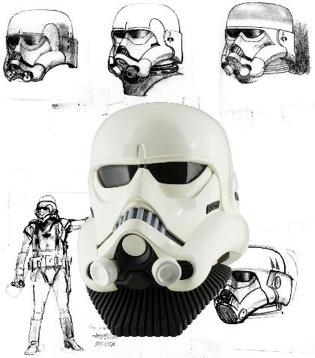 Ono also showed off a jaw-dropping “Concept Stormtrooper” helmet paying tribute to the original sketches and production paintings of visionary artist Ralph McQuarrie. 3. Darkness rises, and light to meet it. EFX Collectibles is also producing limited-edition prop replicas of two iconic designs from the entire Skywalker saga: the lightsaber hilts of Luke Skywalker and Kylo Ren. The hilt of Luke’s blue legacy saber has been lovingly reproduced from the one Mark Hamill used on screen in The Empire Strikes Back. The intricately sculpted Kylo Ren replica hilt matches the one seen in 2015’s The Force Awakens. 4. Lots and lots of statues and busts are on the way from Diamond Select. 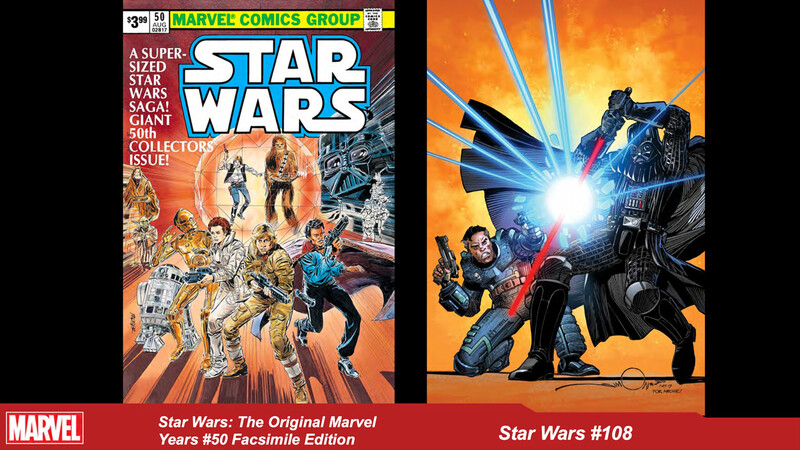 Diamond Select Toys, which recently acquired part of Gentle Giant Ltd., is looking to continue the tradition of artful busts and statues like Star Wars Celebration 2019’s con-exclusive “mecha-leg” Darth Maul. “Vision-wise, we’re going to try to continue what Gentle Giant did best,” DST president Chuck Terceira said. 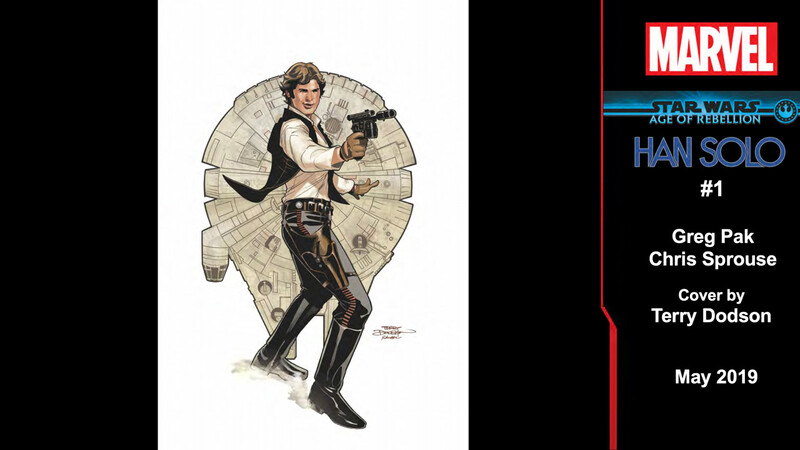 Diamond Select will soon open pre-orders for Chewbacca and Han Solo (Corellia) busts based on their appearances from Solo: A Star Wars Story. 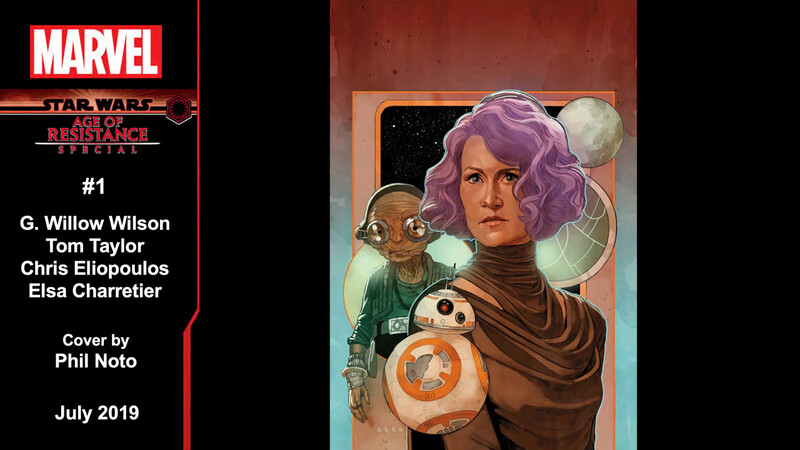 Other upcoming DST collectibles include a set of porg bookends, a 1/7-scale Darth Maul statue, a pair of matching Rey and BB-8 statues that comes with a magnetic base for easy display, and a bust modeled after Luke’s Force-projection appearance on Crait. 5. More samurai-inspired designs are coming from Bandai. Collectors of Bandai’s awe-inspiring samurai statues have plenty more to look forward to this fall. 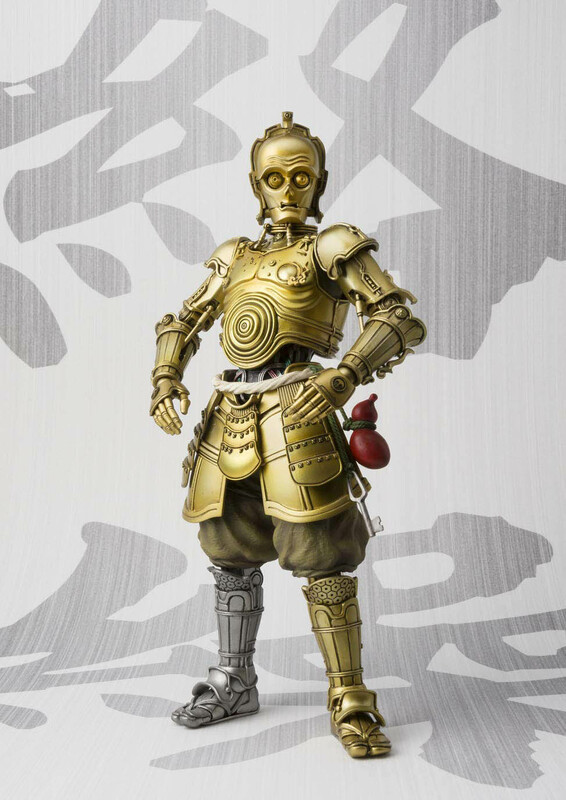 The company showed off its recent “Honyaku Karakuri” interpretation of C-3PO, which holds a ceremonial fan emblazoned with the iconic crest of the Rebel Alliance, and also gave fans a glimpse of three all-new creations: a First Order stormtrooper, Kylo Ren, and Captain Phasma. 6. Kotobukiya’s Rey and Kylo Ren statues bring balance to the Force. 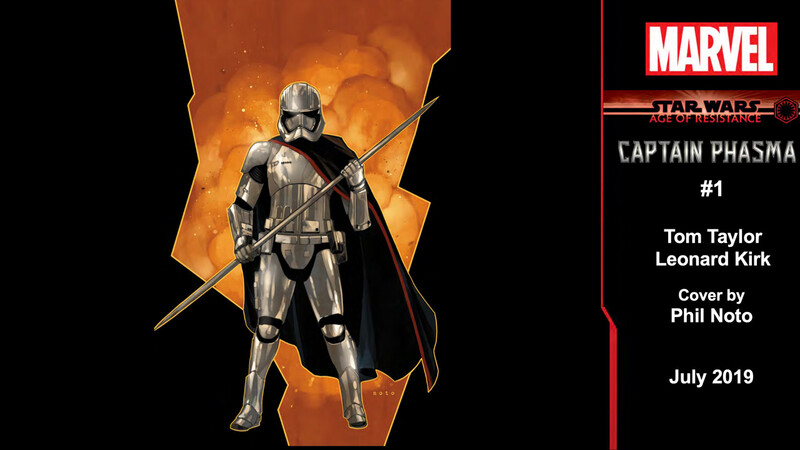 Japan’s Kotobukiya plans to launch a new ARTFX Artist Series, which kicks off with a pair of statues by manga artist Kamome Shirahama, who’s done a number of gorgeous variant covers for Marvel’s Star Wars titles. “Rey, Descendent of Light” is a 1/7-scale interpretation of Rey as she appeared on Jakku in The Force Awakens. 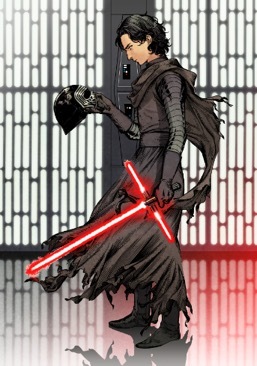 “Kylo Ren, Cloaked in Shadows” shows the son of darkness holding his own mask, staring into the darkness of the face he’s hidden behind for so long. Kylo’s mask accessory can also be swapped out for the burnt, twisted visage of Darth Vader. 7. Let the Wookiee in. 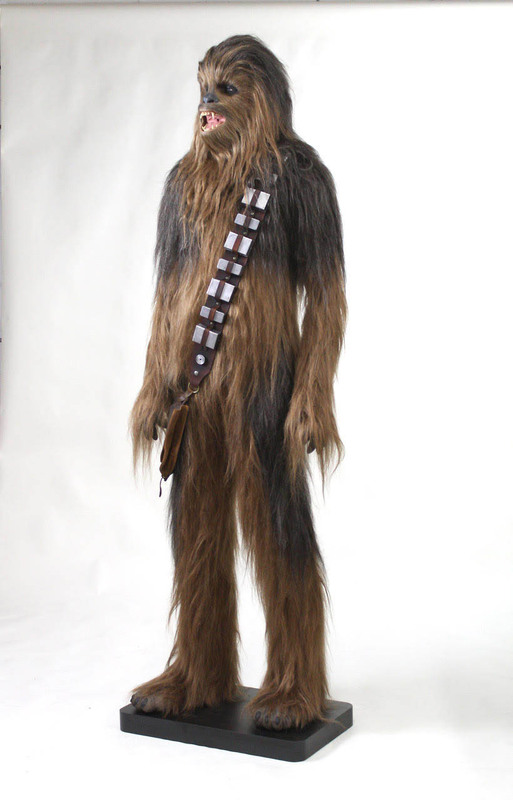 There’s also a massive Chewbacca bust and full-sized, furry statue of the mighty Wookiee coming from Regal Robot. Need we say more? Galaxy Stage host and Star Wars music devotee David Collins treated Star Wars Celebration Chicago attendees to a delightfully intricate exploration of John Williams’ score for Star Wars: The Phantom Menace — now enjoying its own 20th anniversary. Collins’ layman-friendly analysis centered in on two central compositions from Episode I. 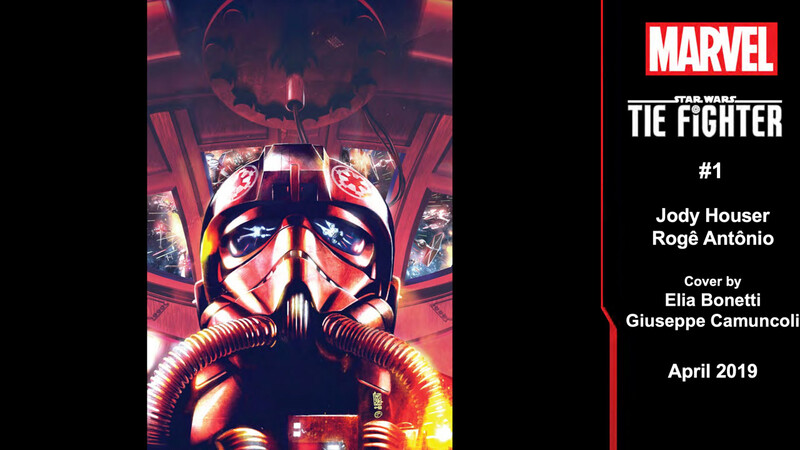 If you have your Star Wars soundtracks handy, you might do well to grab them and listen along! 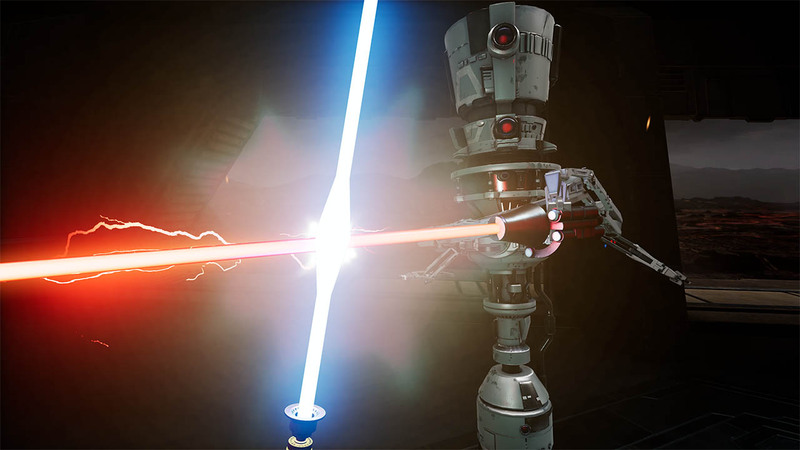 Perhaps the most iconic piece of the film’s score, “Duel of the Fates” on the surface exemplifies what George Lucas himself described as “the prime of the Jedi” with its epic lightsaber combat. Its blend of the choral and orchestral styles literally sends musical tremors across the saga. This “ancient, primal” composition, as Collins added, is like a ballet, such as Igor Stravinsky’s “Rite of Spring” from 1913. In this case the choreography is courtesy of stunt coordinator Nick Gillard and the dancers carry lightsabers. 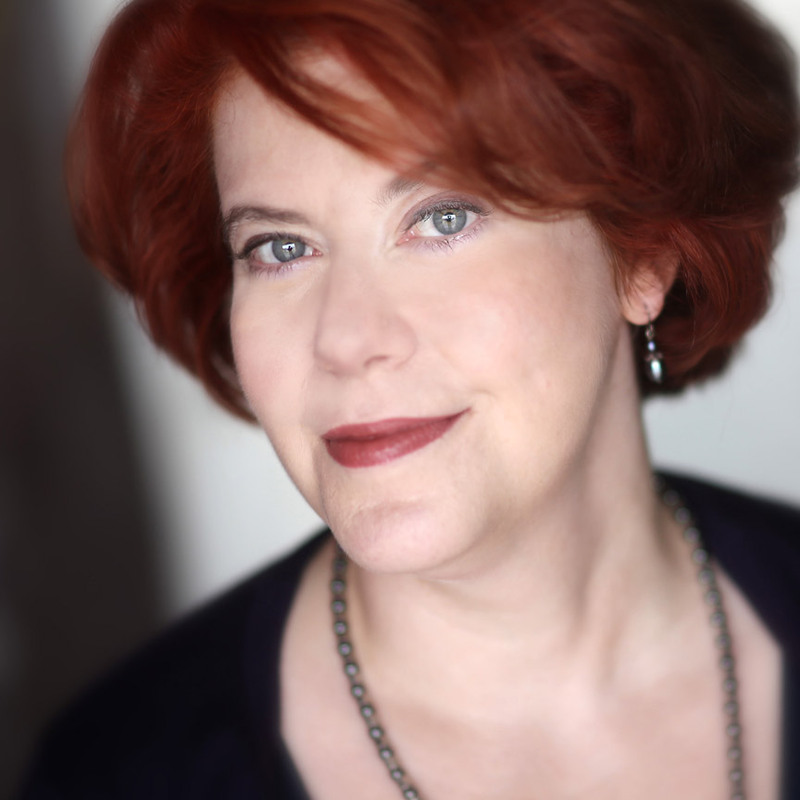 It was also a topical choice on Williams’ part, Collins argued, citing the prominent use of the well-remembered choral piece “Carmina Burana” from 1937, which was very commonly used in 1990s movie trailers. But what language to use? Sanskrit was Williams choice. It possessed “good, pure vowels” as Collins noted, similar to Italian, one of the classic operatic languages, and unlike English with its more inconsistent pronunciations. Sanskrit ensured that there would be very little variation from the chorus. At his keyboard, Collins demonstrated how Williams’ iconic original trilogy scores, the Force theme and the “Imperial March,” are subtly incorporated into “Duel of the Fates.” Similar chord structures and even the same melodies are layered into the climactic score. All one has to do is listen closely and compare. 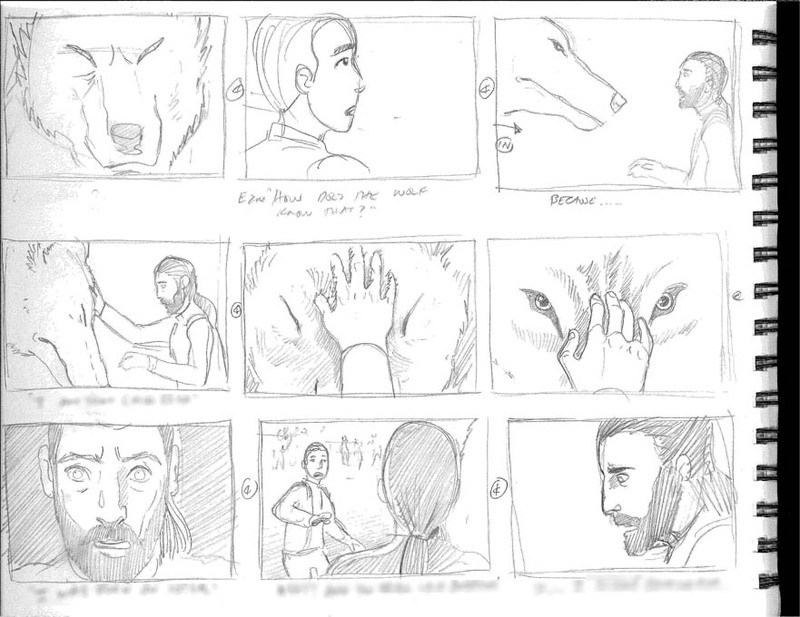 Collins’ describes this technique as “prequel writing,” where the composer — working backwards in the storyline — establishes a continuity that is present across the entire saga. He stressed that much of this “backwards writing” was not completely deliberate on Williams’ part, but was derived from his adoption of the same vocabulary of sounds used in the original trilogy. If “Duel of the Fates” gets most of the attention to this day, “Anakin’s Theme” is an equally important albeit lesser appreciated selection from the Episode I soundtrack. 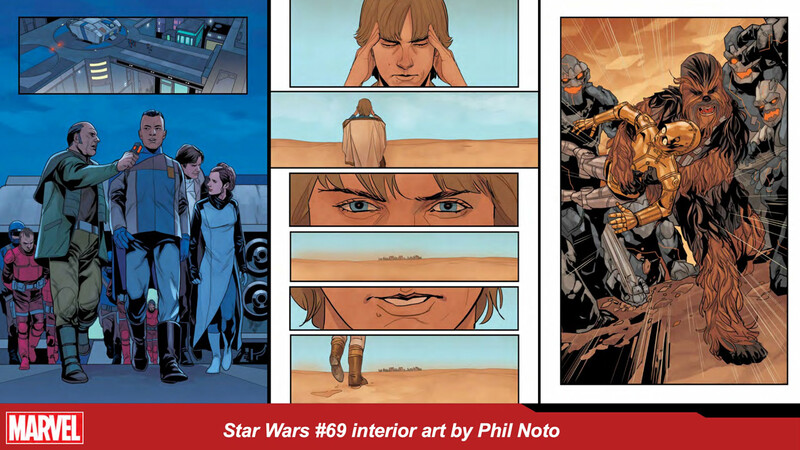 This “wonderfully complicated” theme, as Collins put it, tells the whole story of Anakin’s modest origin, hopeful journey, and ultimate doom. 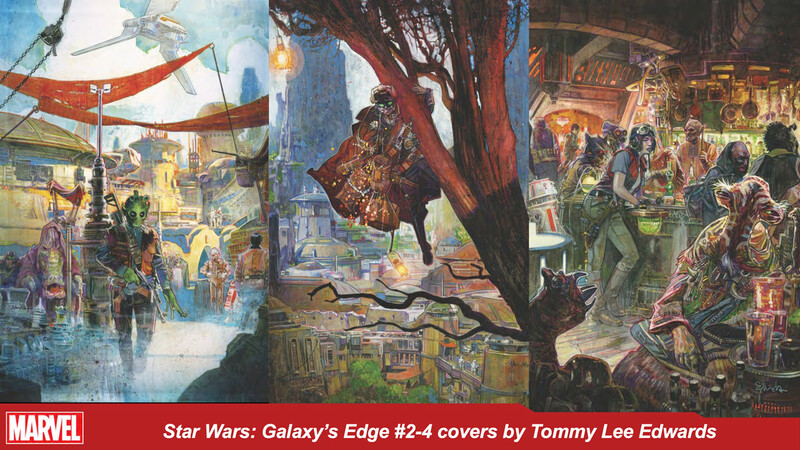 Thematically, it’s “all over the place,” and “not hummable” in the way more recognizable Star Wars themes are. But don’t allow its complexity to be misleading. This “poetic conceit,” as Collins described, combines most of the essential musical components of all the succeeding Star Wars scores. 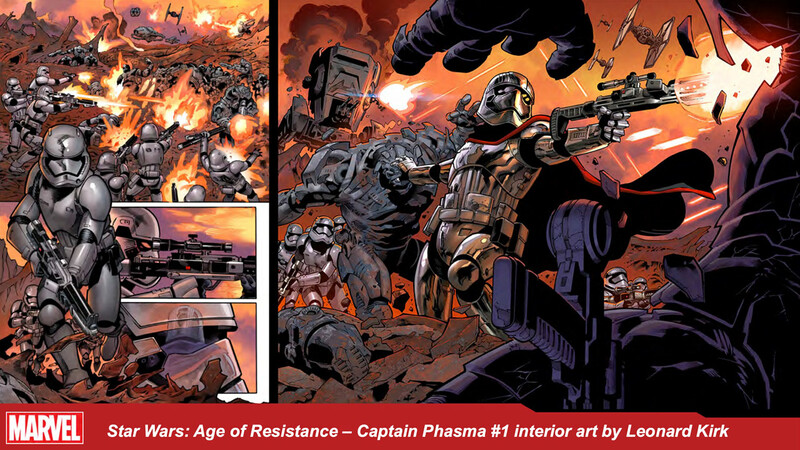 Fragments of the “Imperial March,” for example, are quite noticeable, and oh-so-foreboding, at the theme’s conclusion. Other rhythms and intervals from the Force theme and Yoda’s theme among others are layered within. Another poignant note was that Williams and Lucas chose to conclude the end credits of The Phantom Menace with this soft, subtle rendition in contrast to the typical, bombastic finales of the other Star Wars features. It all hints at the myth that is to play out. It’s that “prequel writing,” or writing backwards that Collins so keenly identifies.